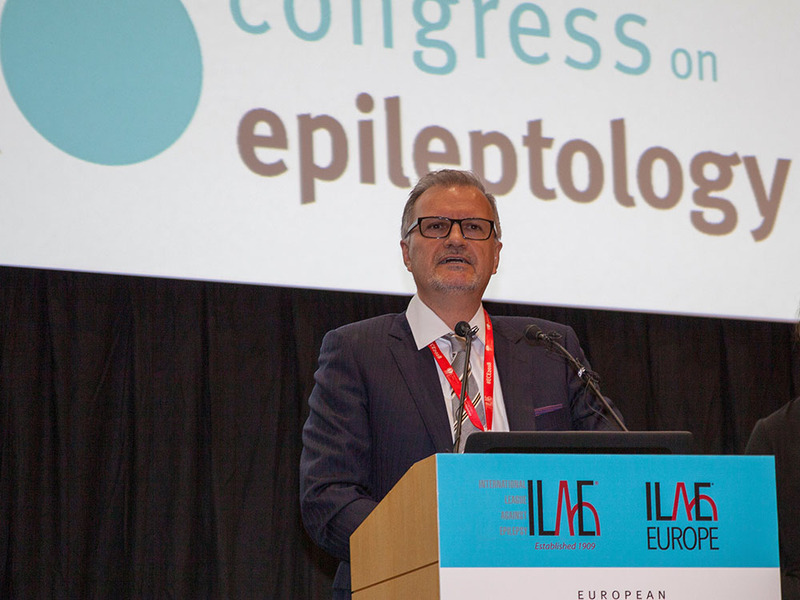 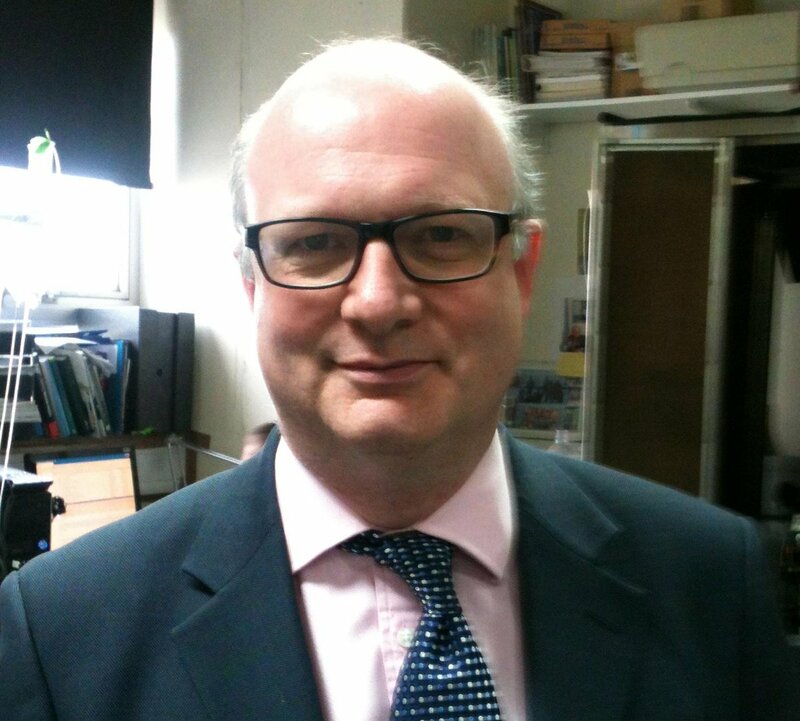 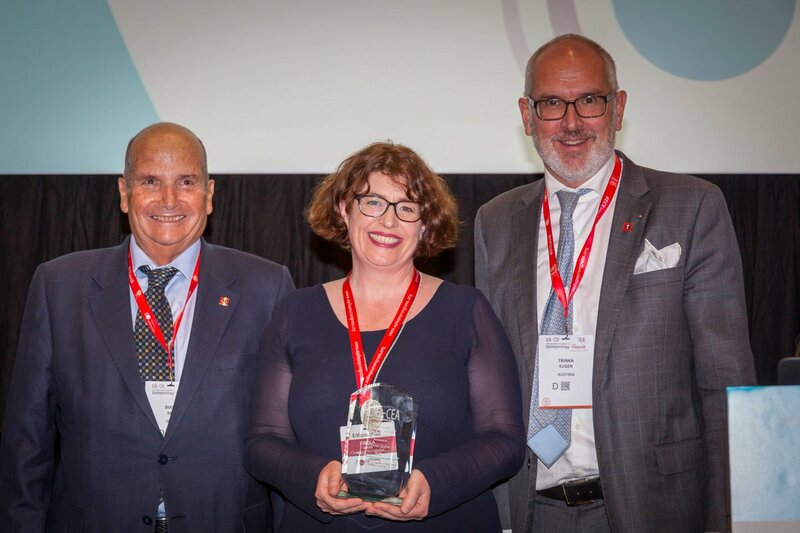 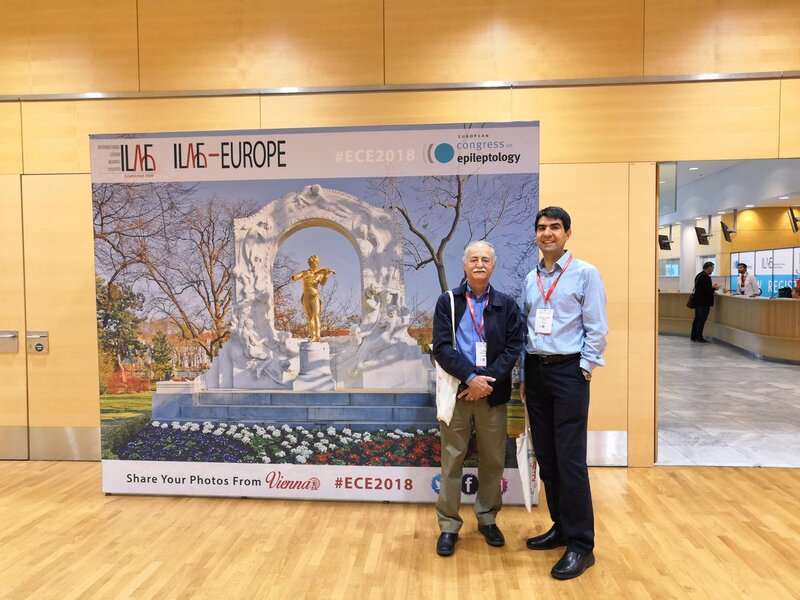 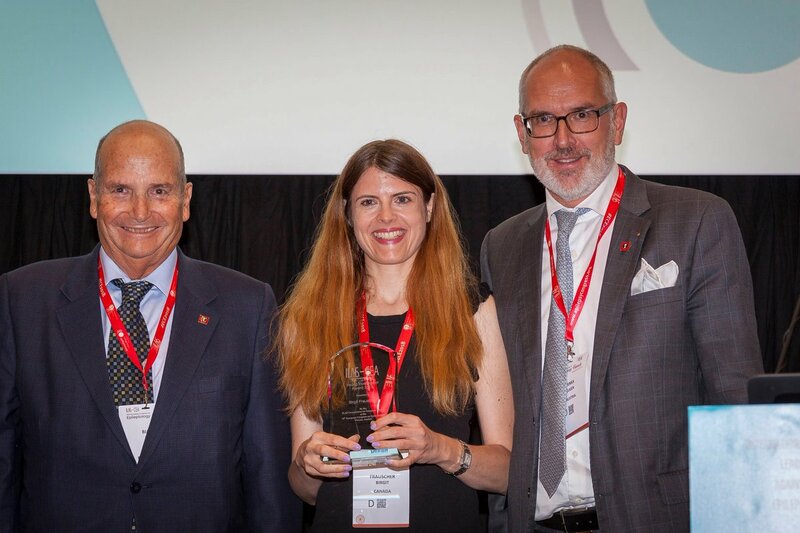 The European Congress on Epileptology, a staple in the calendars of epileptologists and neurologists across Europe and the world, has a well-deserved high reputation for scientific and educational excellence. 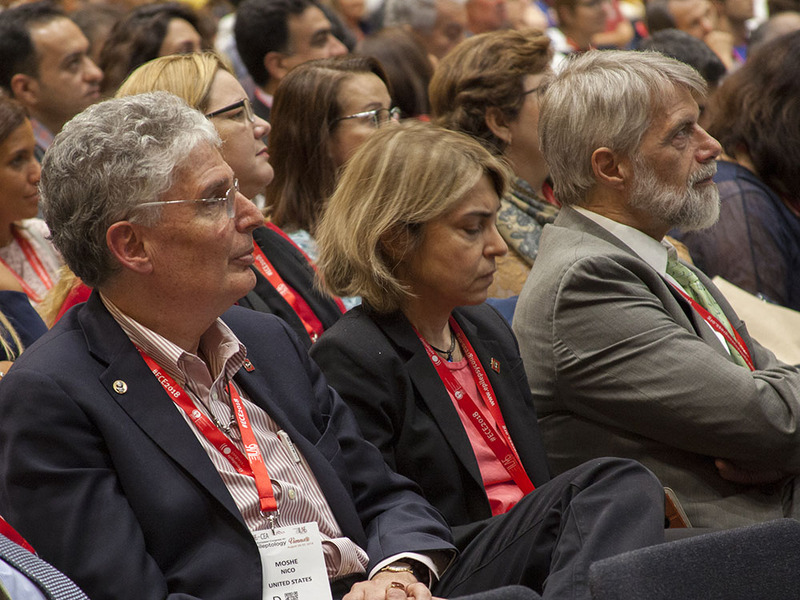 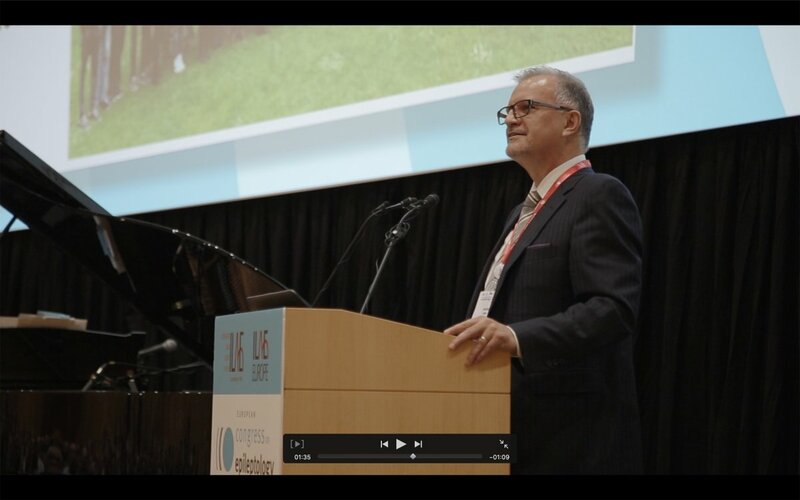 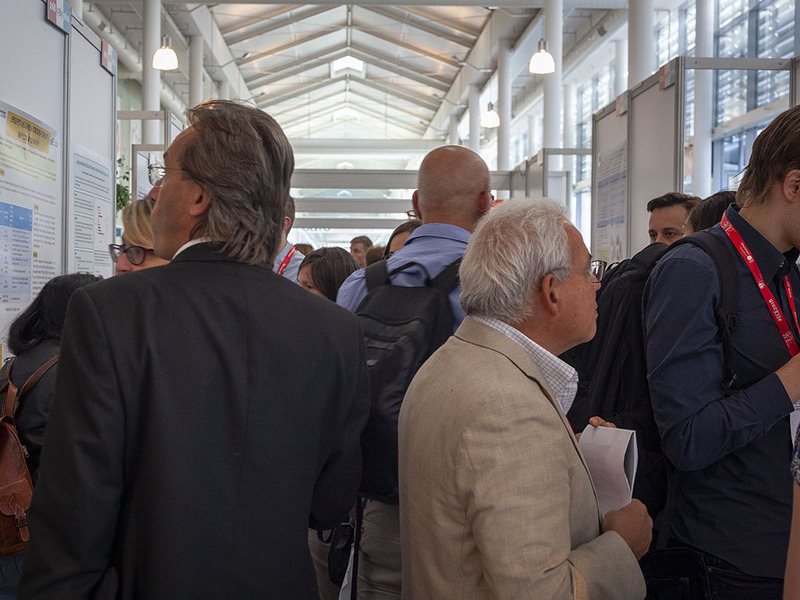 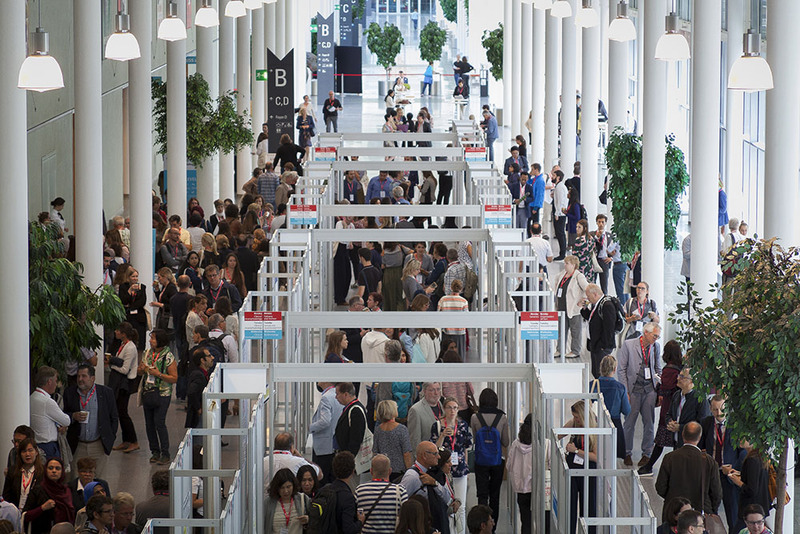 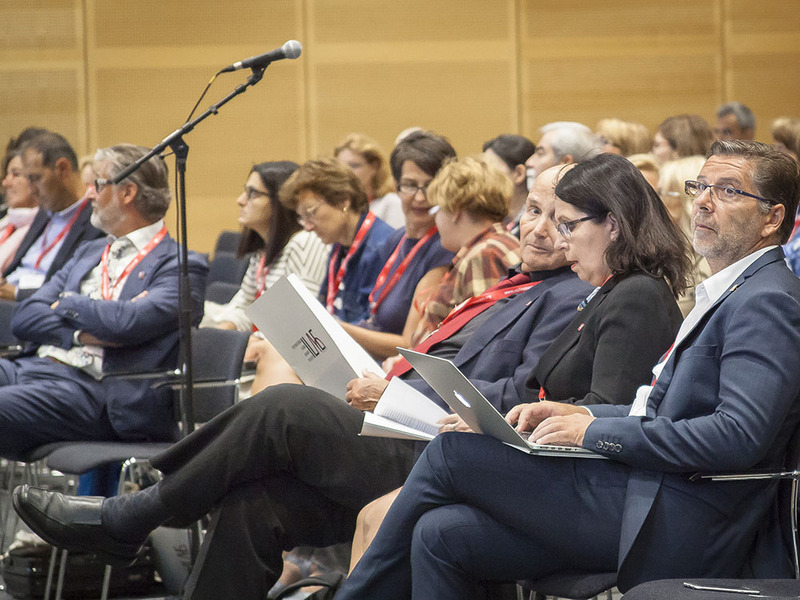 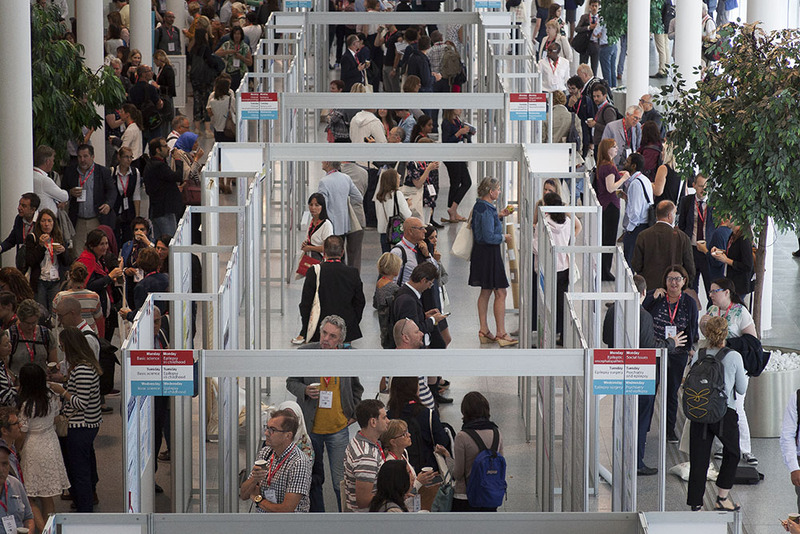 Over 2,500 participants experienced the 104 state-of-the-art and highly educational sessions at the 13th ECE, which included the Chairs’ Symposium, Main Sessions, Special Sessions, Parallel Sessions, a Debate, interactive ECE Forums and Platform Sessions. 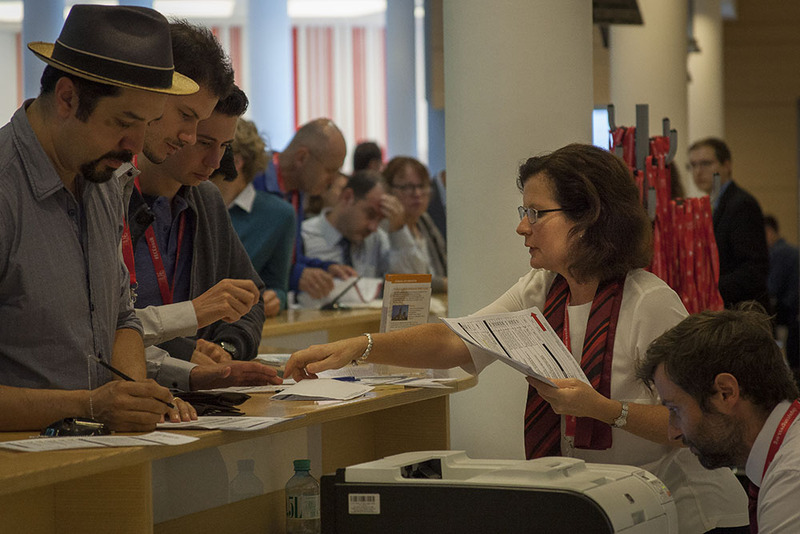 The educational programme featured Advanced Teaching Sessions, as well as innovative, first-class Teaching Courses. 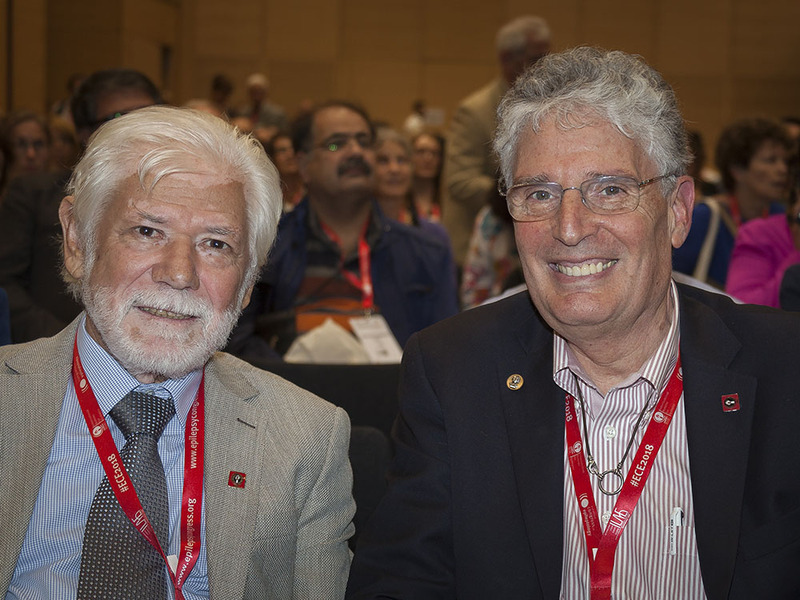 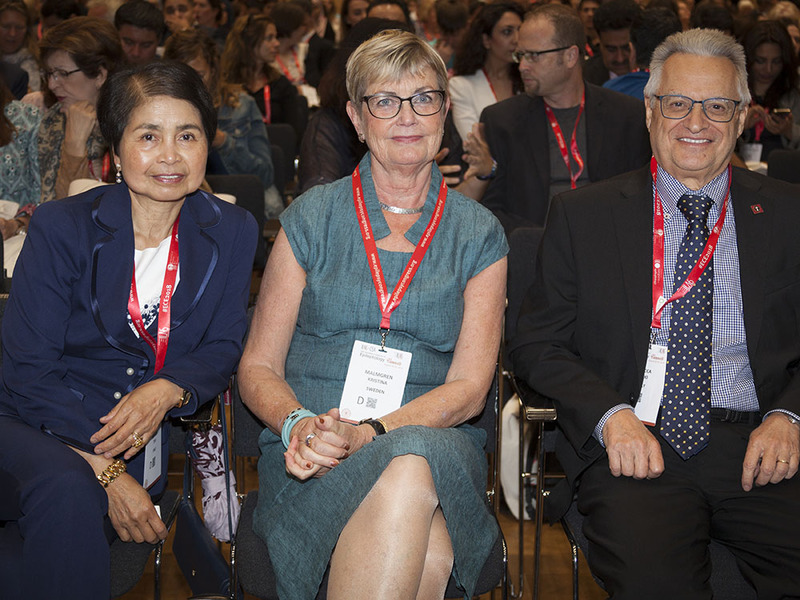 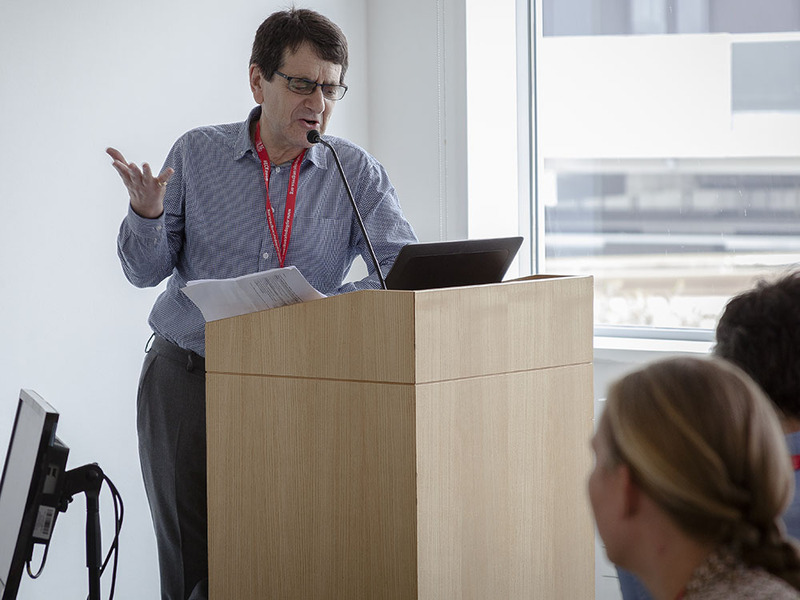 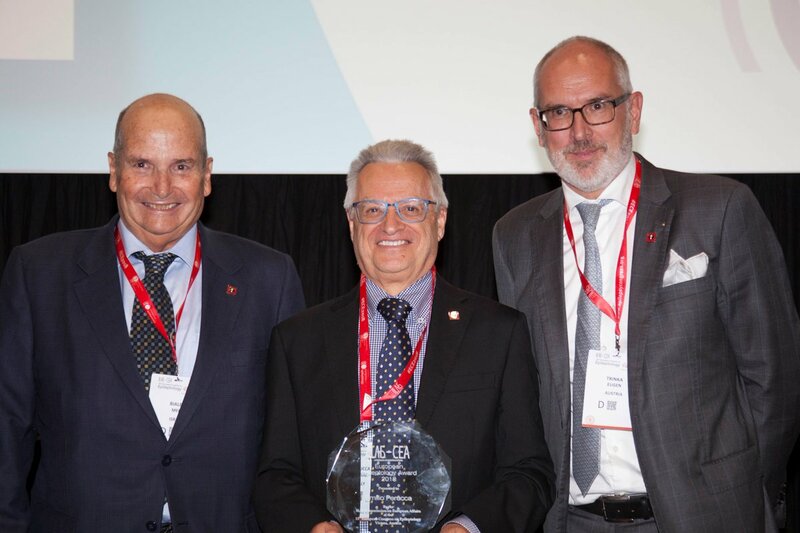 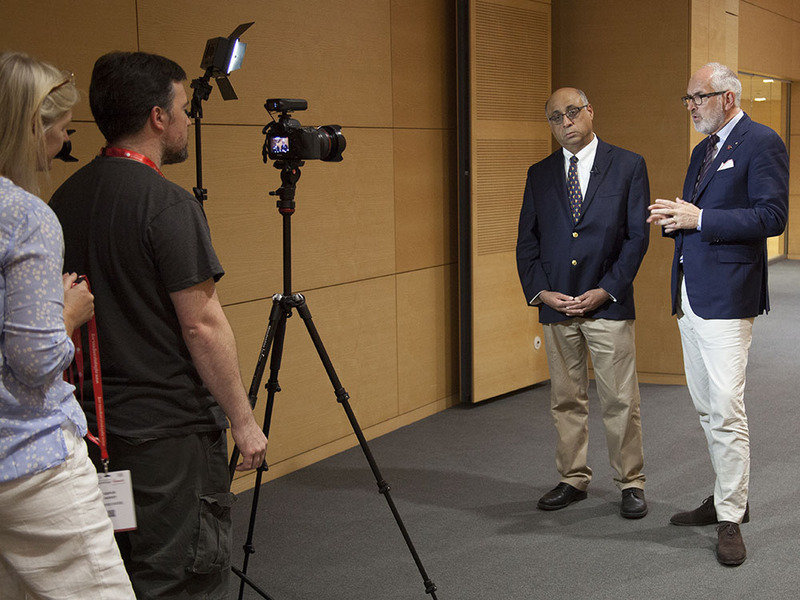 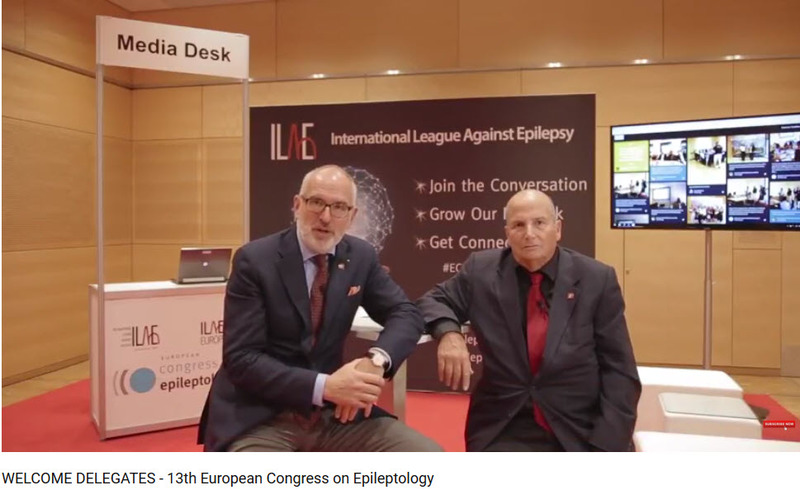 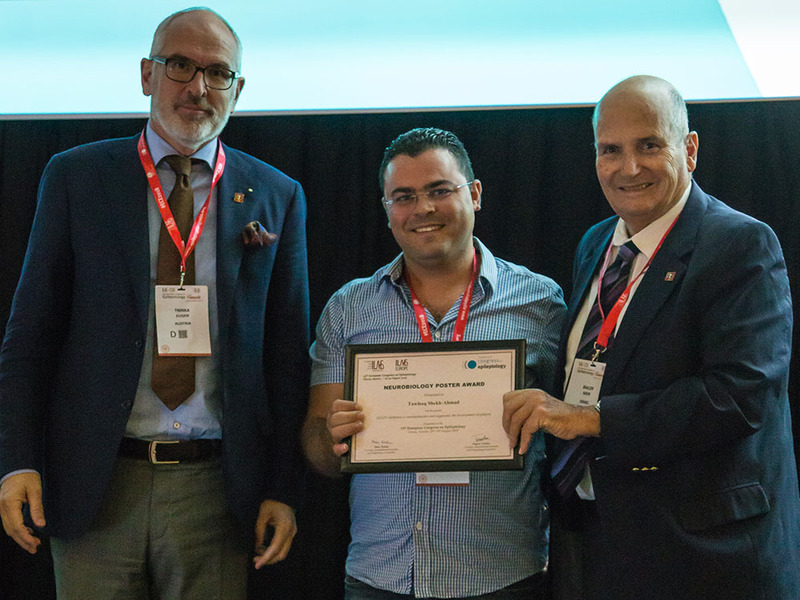 The International Scientific and Organising Committee, co-chaired by Meir Bialer and Eugen Trinka, created a programme with both scientific depth and clinical practical application and covering all aspects of epileptology. 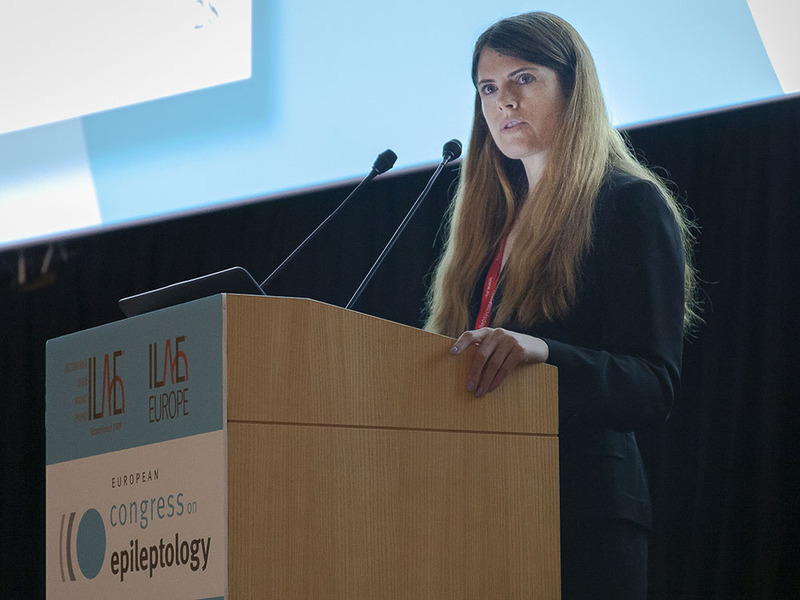 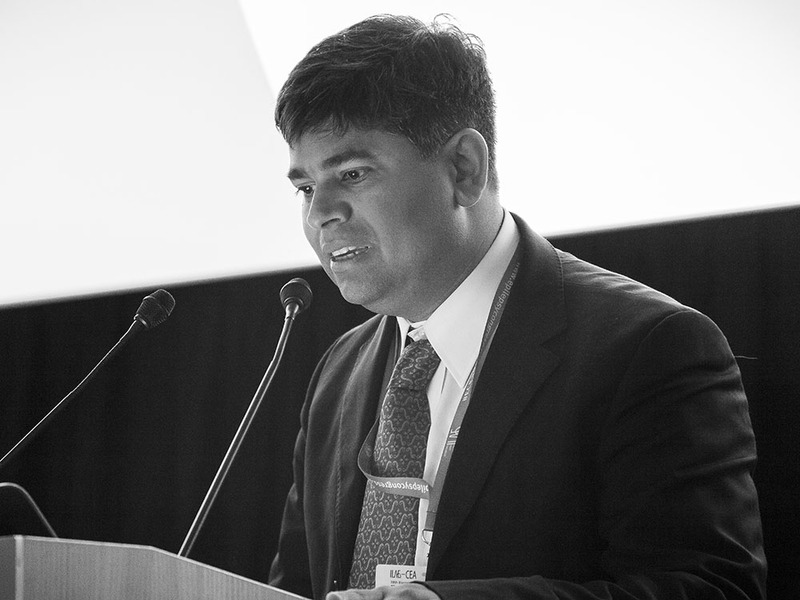 Four main themes were selected, representing Adult Epileptology, Basic and Translational Science, Childhood Epileptology and Pharmacotherapy, and each had an associated Main Session. 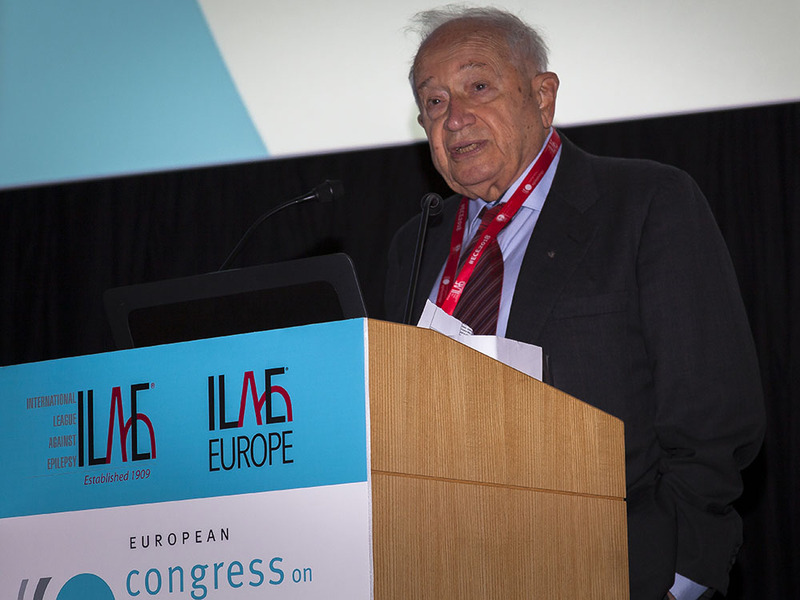 The extremely popular Chairs’ Symposium ‘Recent advances and treatments in status epilepticus’ followed a prestigious special lecture ‘Cannabinoids going back and ahead’ given by the forefather of cannabinoids research, Raphael Mechoulam (Israel), for which the plenary hall had a “full house”. 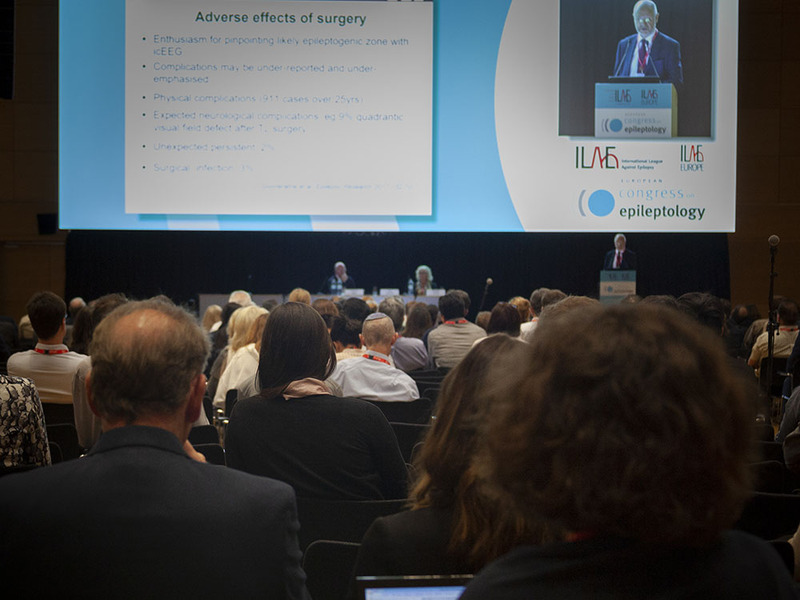 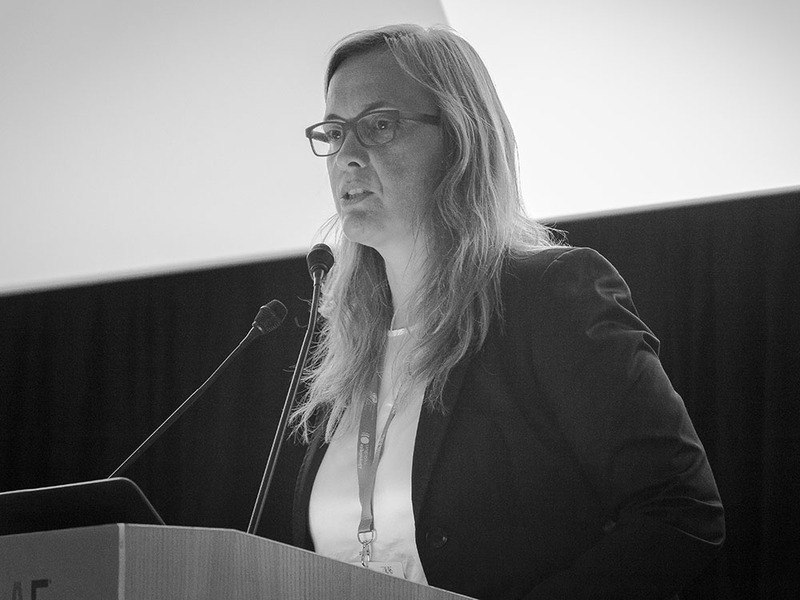 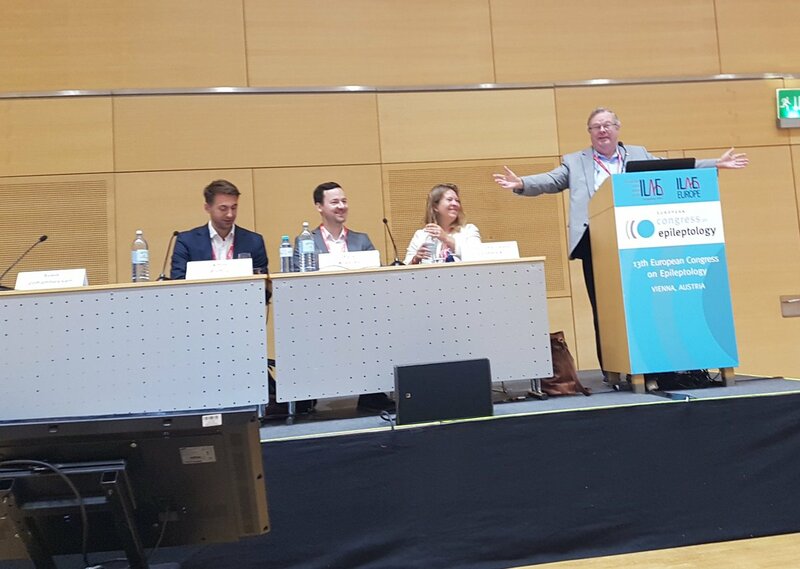 At the end of the scientific programme, the Topic Chairs presented the best of their topics and summarised the essential take-home messages at the Congress Highlights session. 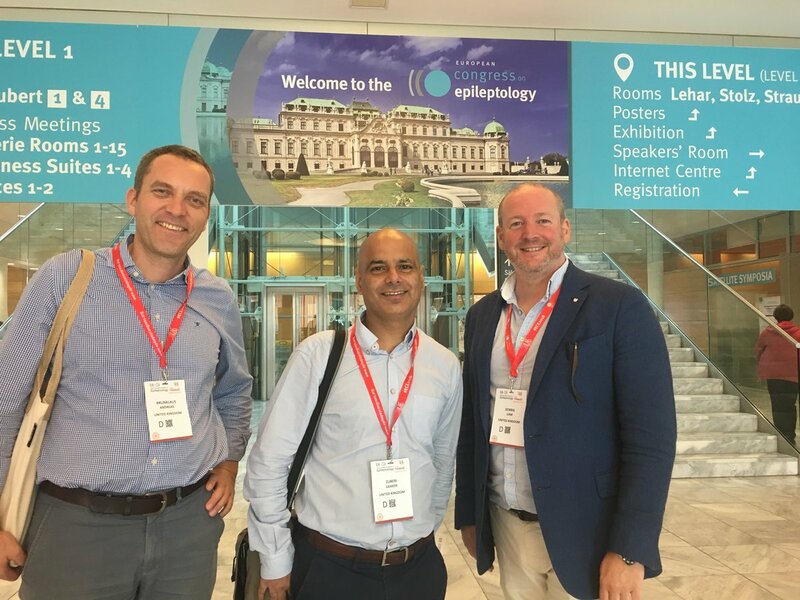 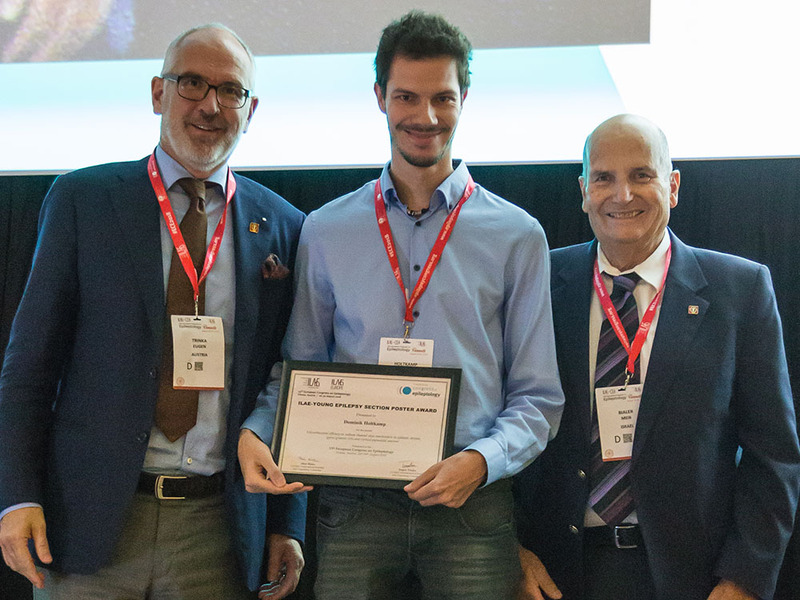 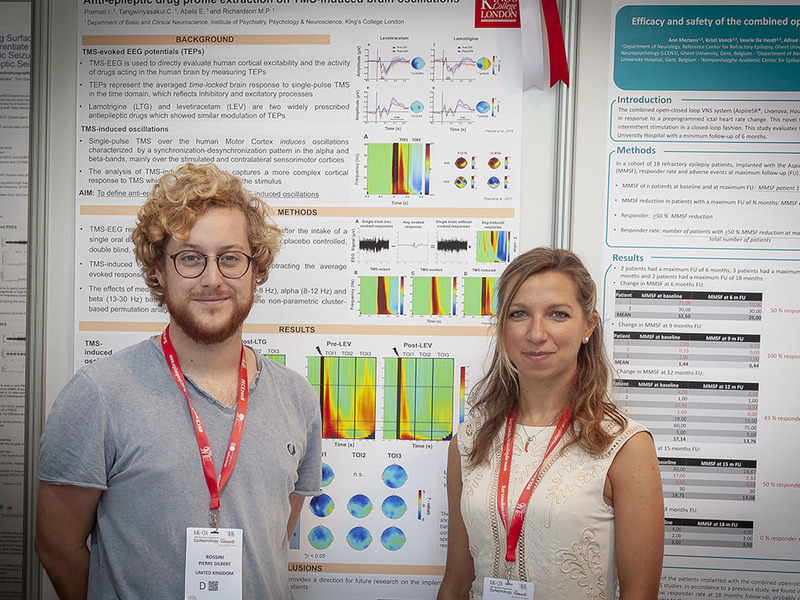 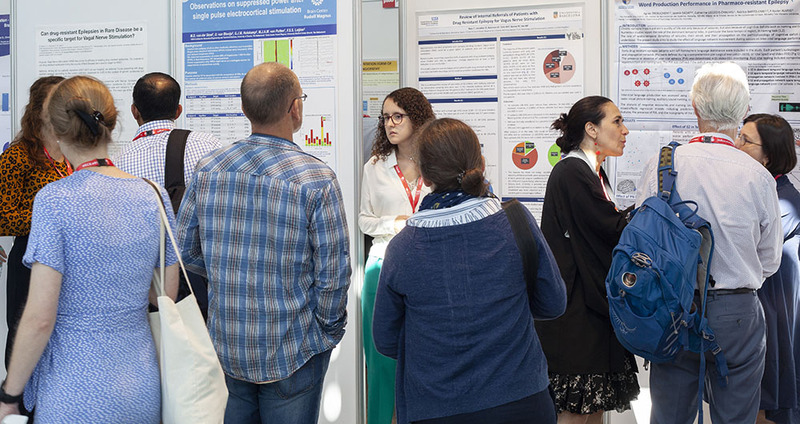 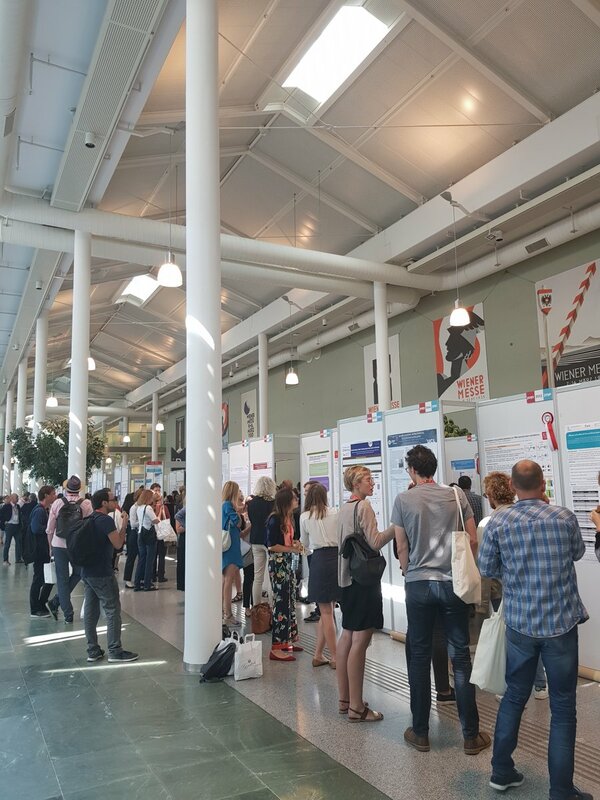 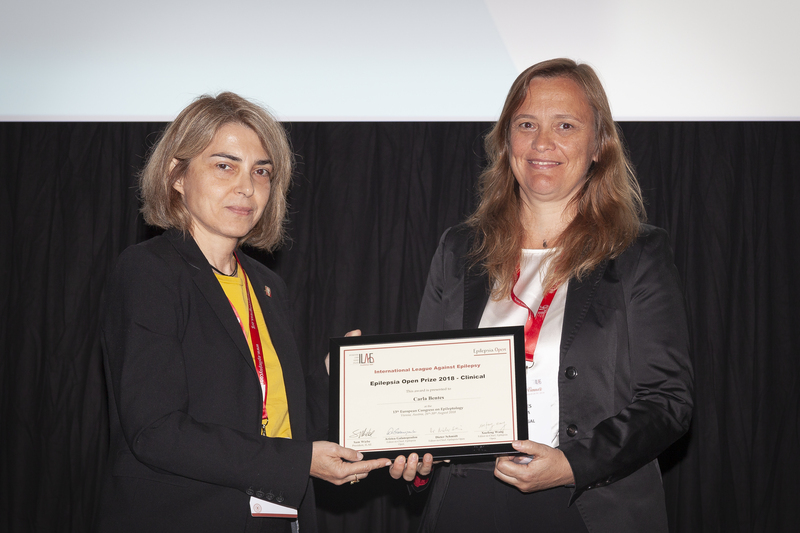 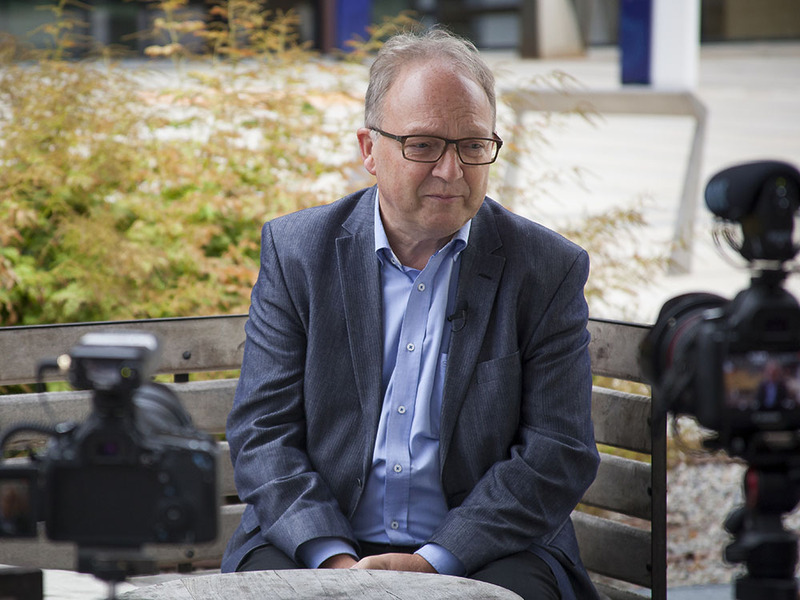 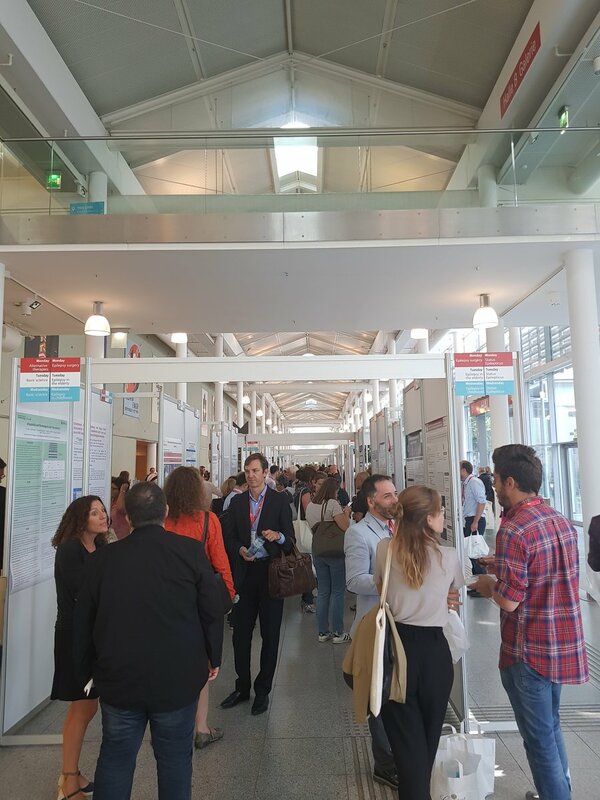 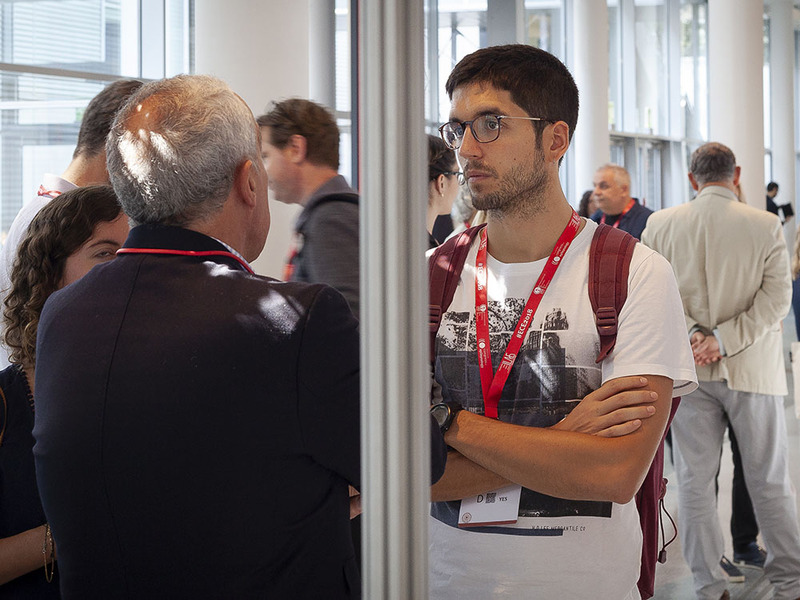 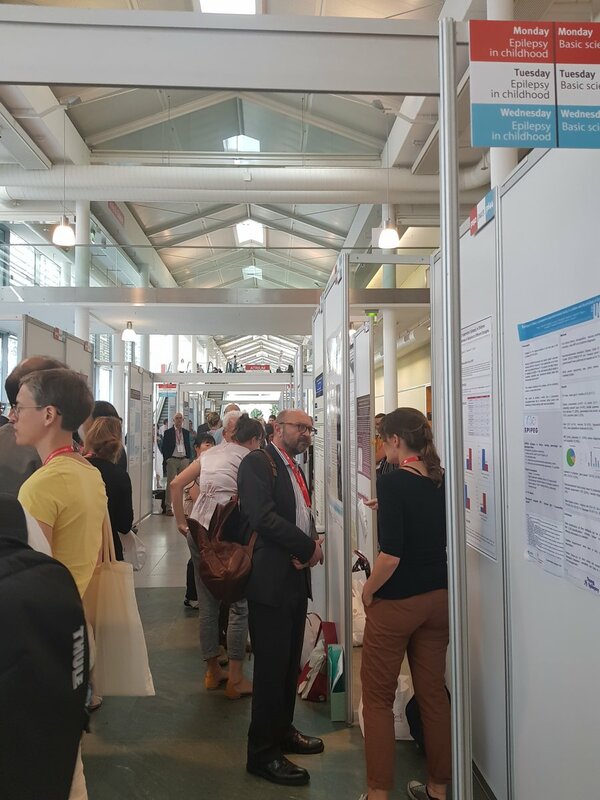 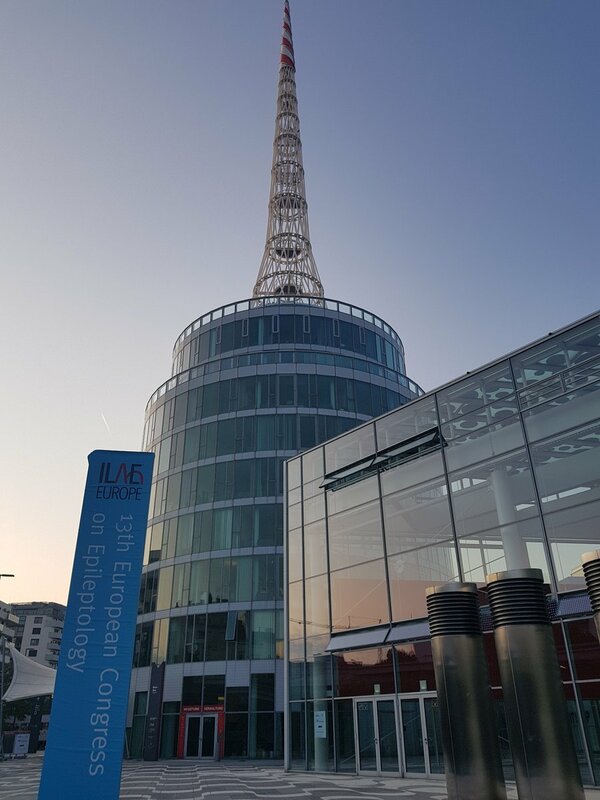 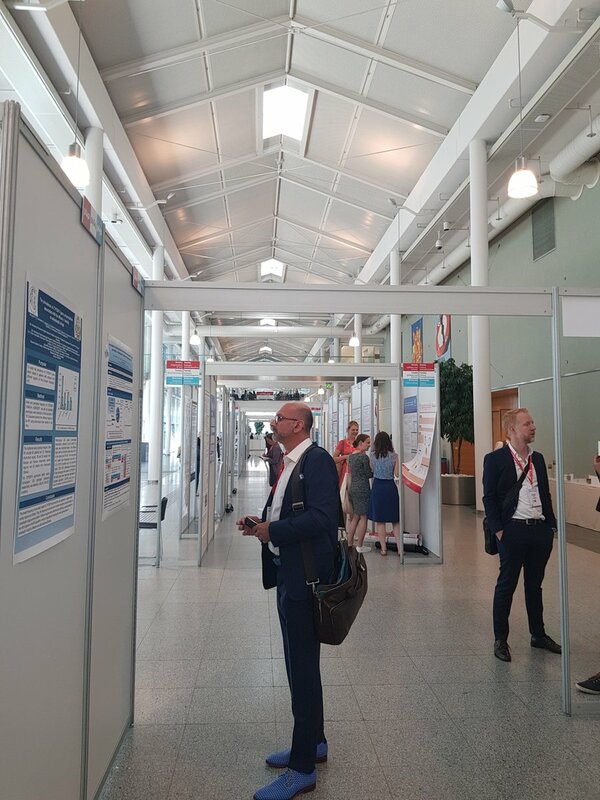 There were some additional special sessions at the congress, such as the ‘Herbert Reisner Prize Session – the Scientific Session of the Austrian Society of Epileptology’ and the ESBACE sessions during which the European Study on the Burden and Care of Epilepsy presented its findings and results. 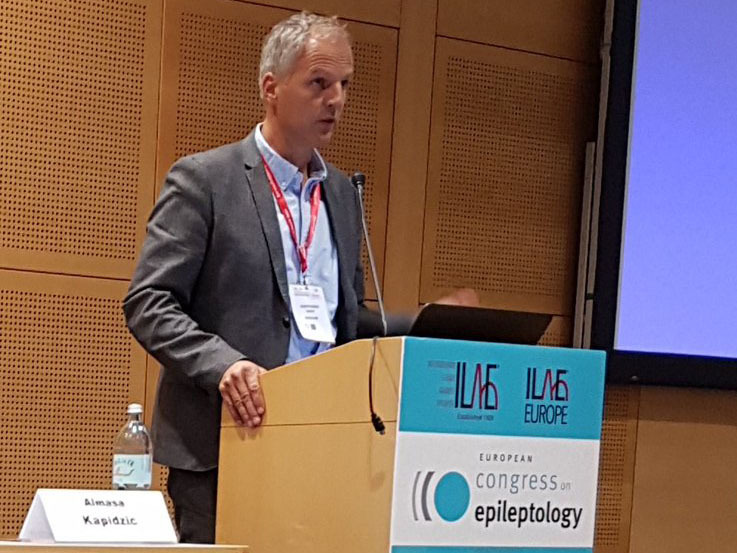 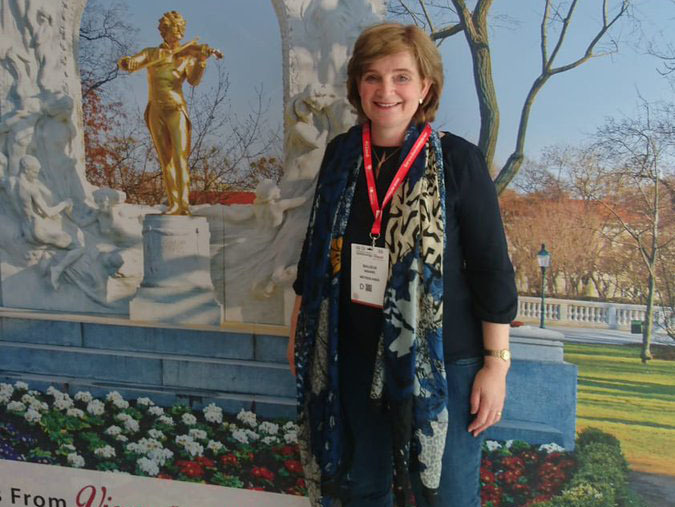 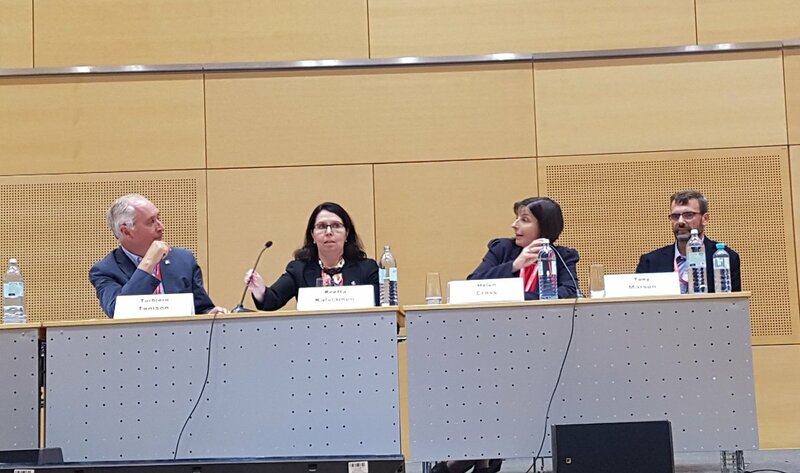 The ‘Social Care Forum: Facilitating self-management in epilepsy’ and the ‘Patienten-Forum: “Epilepsie – aktiv leben” – Anfälle erkennen, beraten und behandeln’ placed the focus firmly on the social aspects of epilepsy. 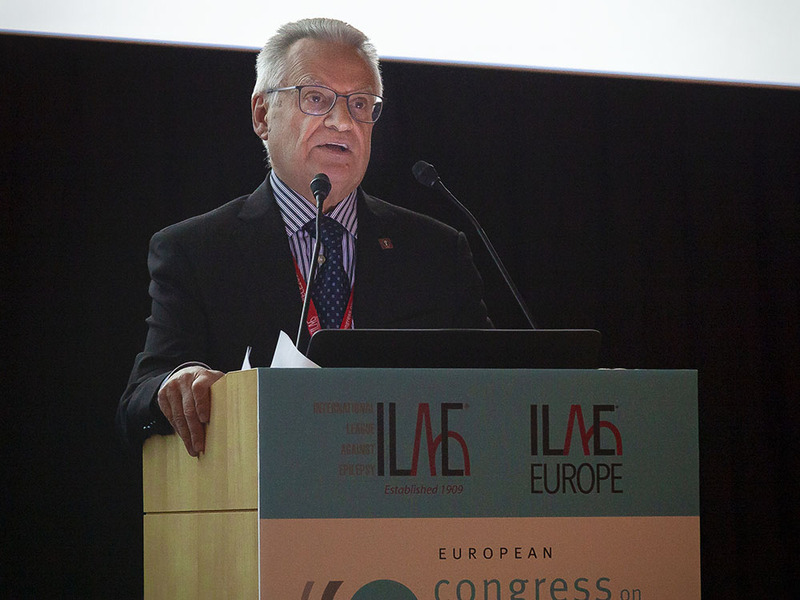 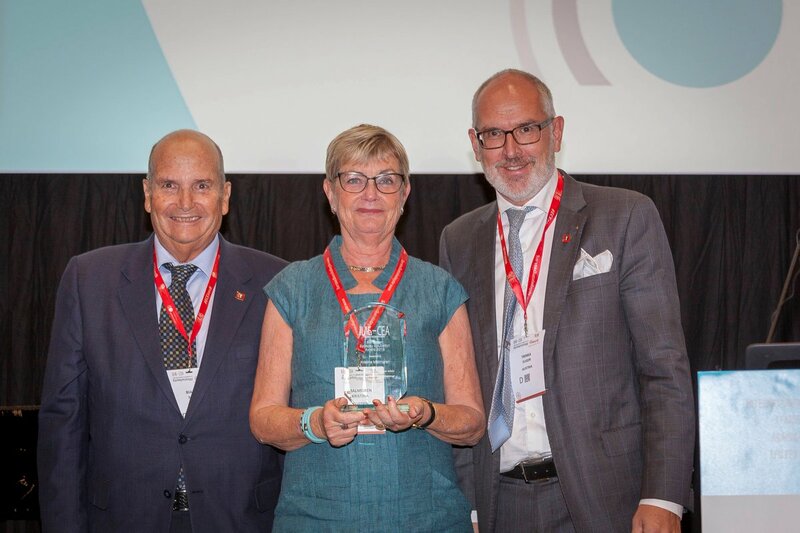 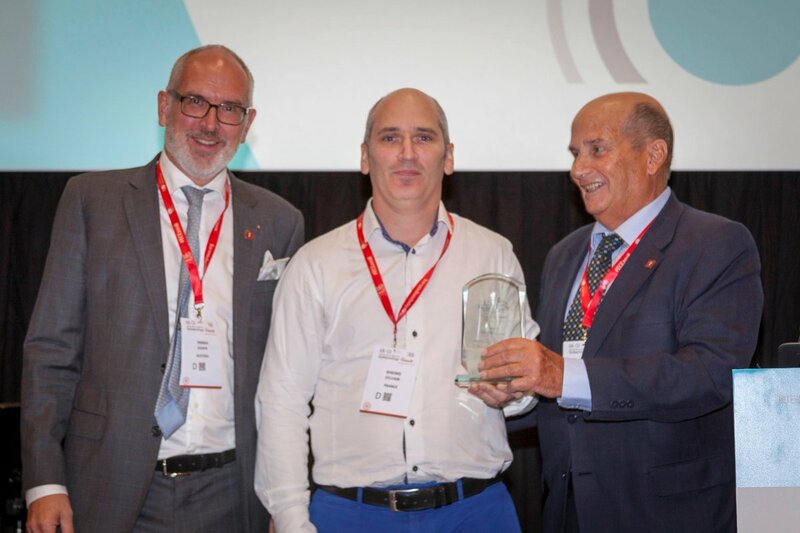 The Welcome Ceremony was another highlight of the congress, during which the ILAE-Europe awards were presented. 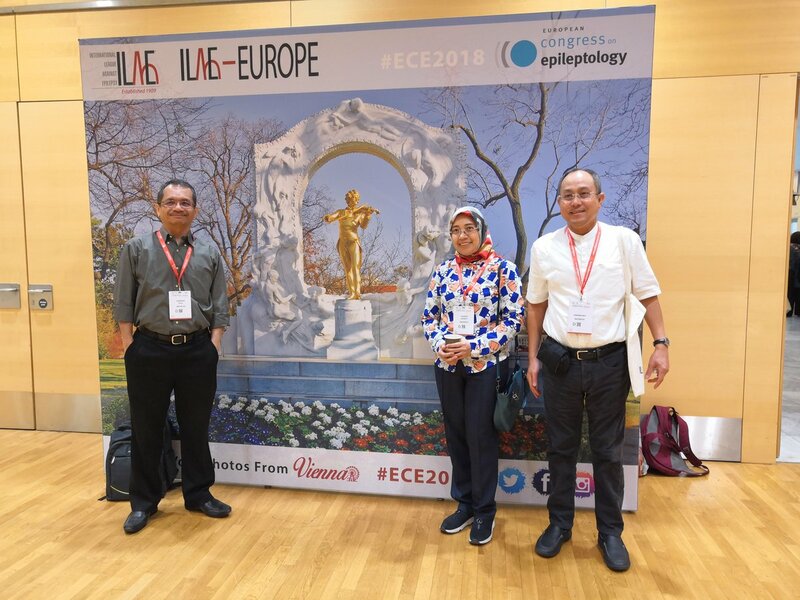 The Ceremony ended with an entertaining performance by a pianist, accompanied by a baritone, both of whom are doctors in the Medical University of Vienna, and was followed by an animated Welcome Reception, providing an ideal networking opportunity for participating delegates. 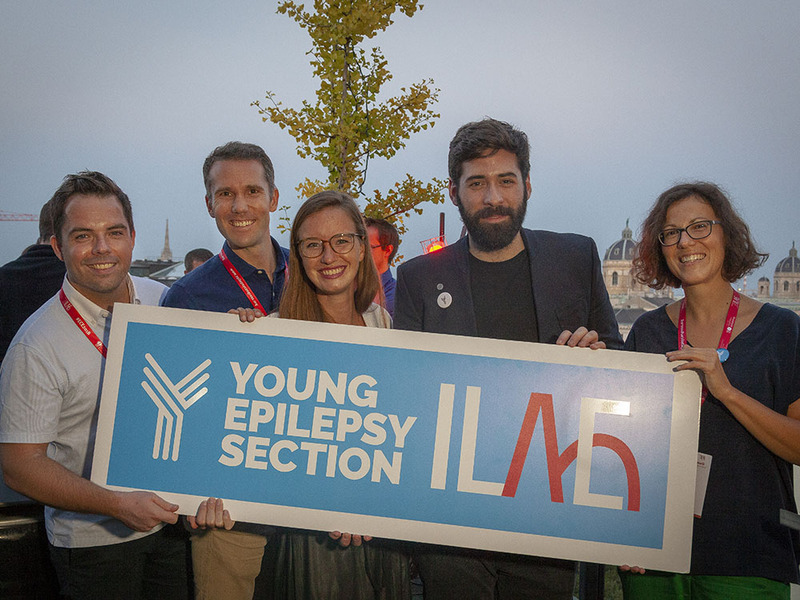 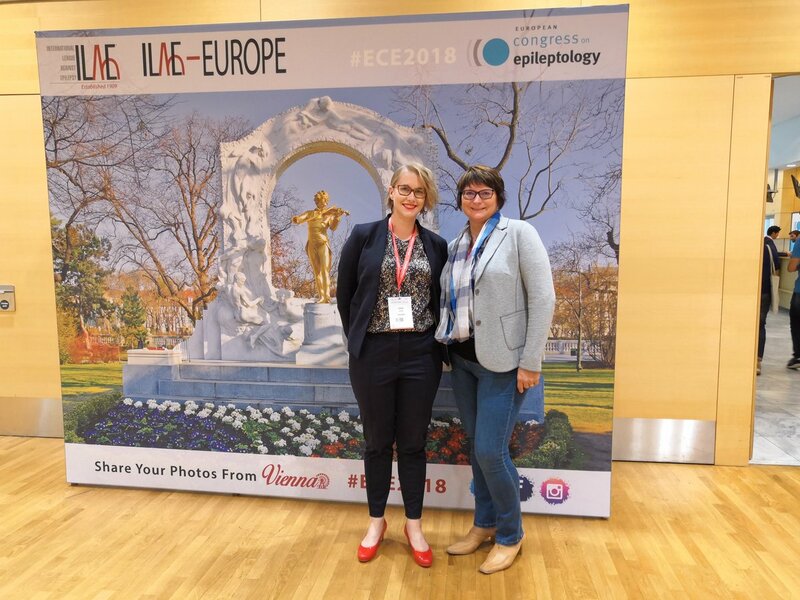 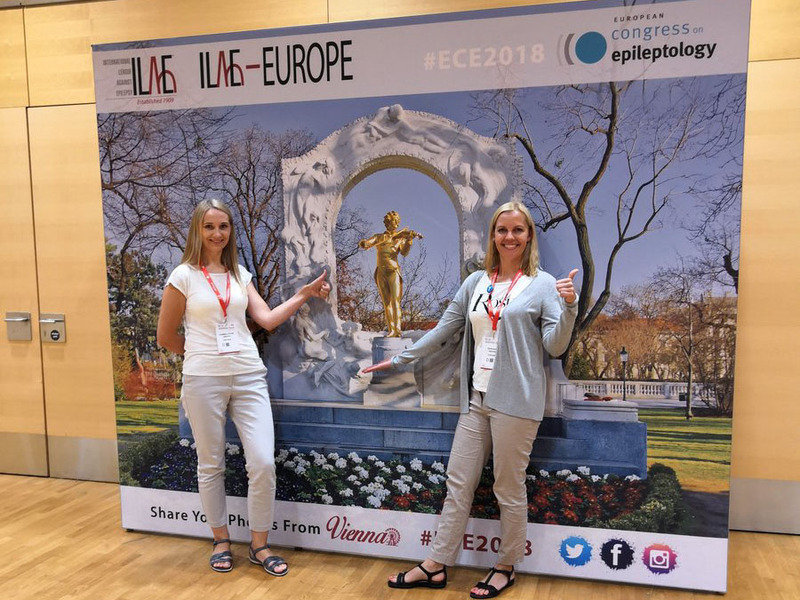 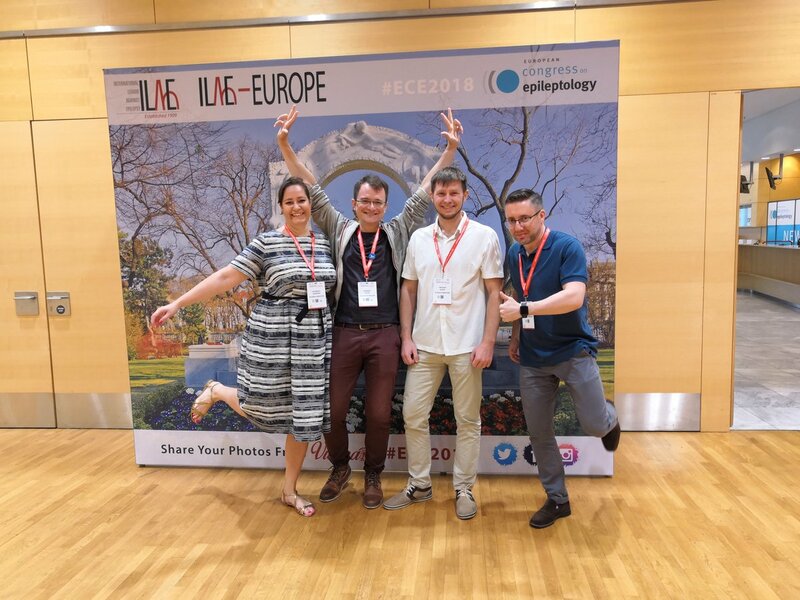 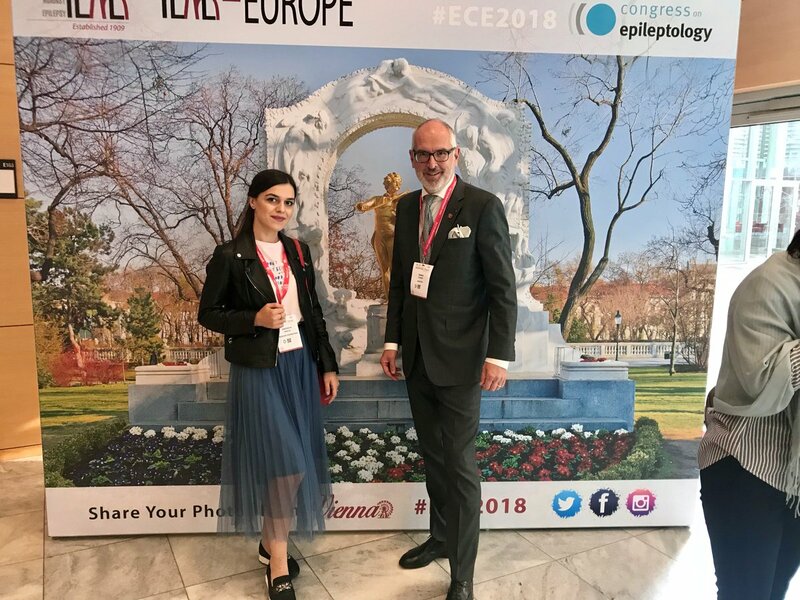 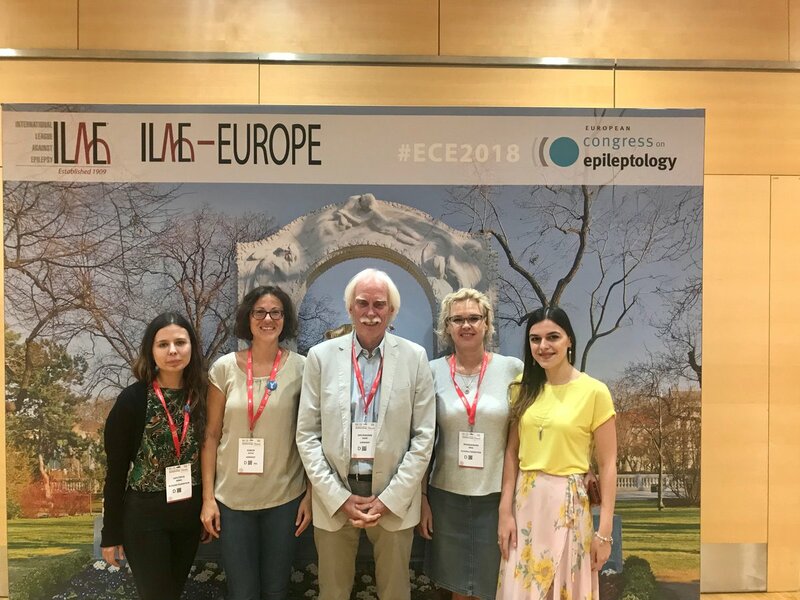 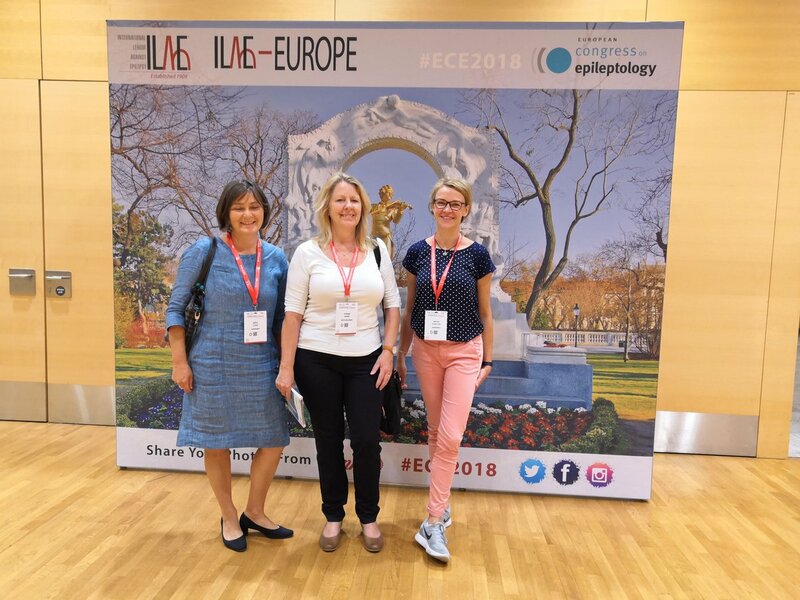 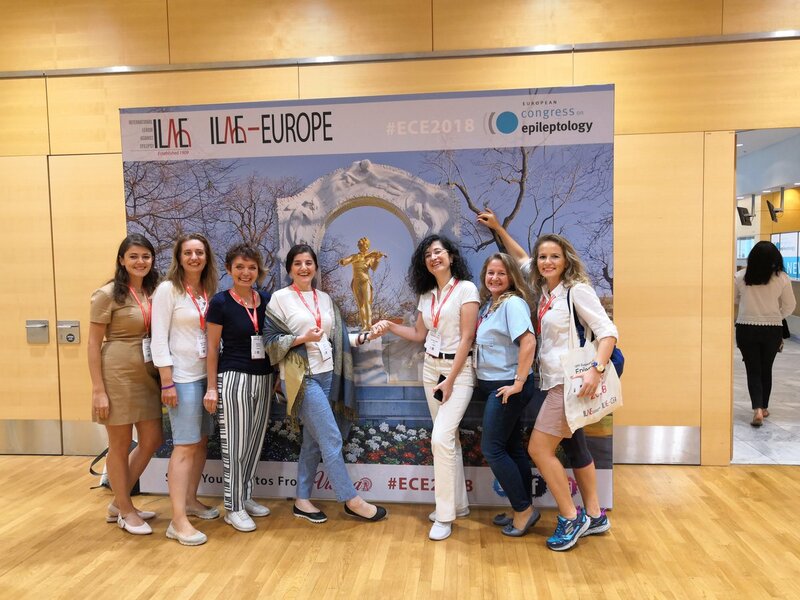 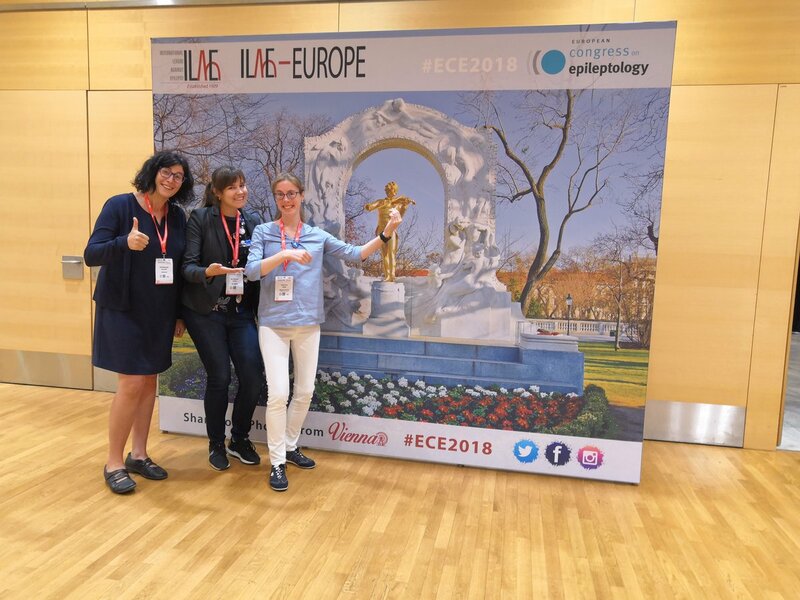 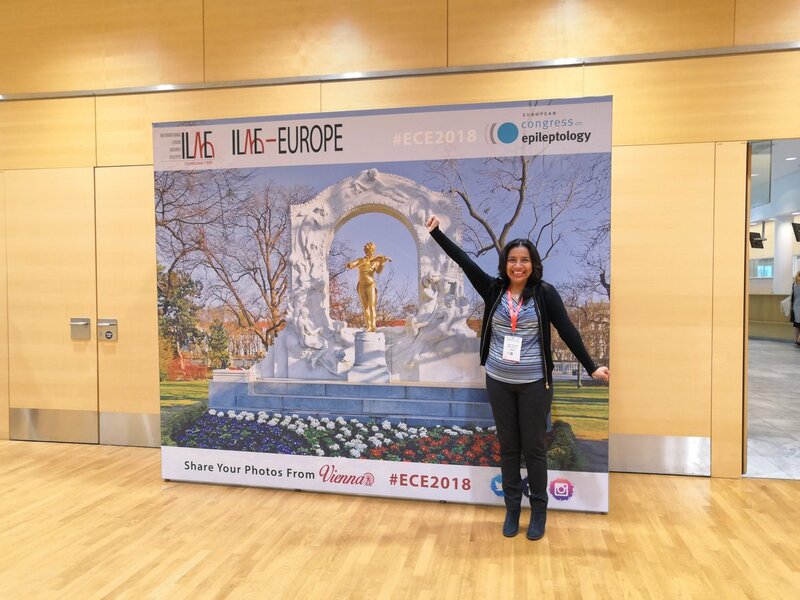 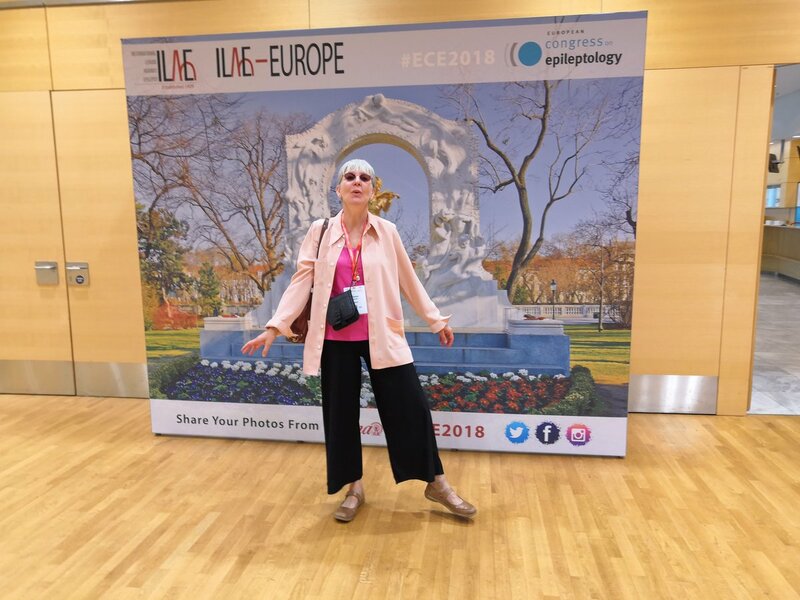 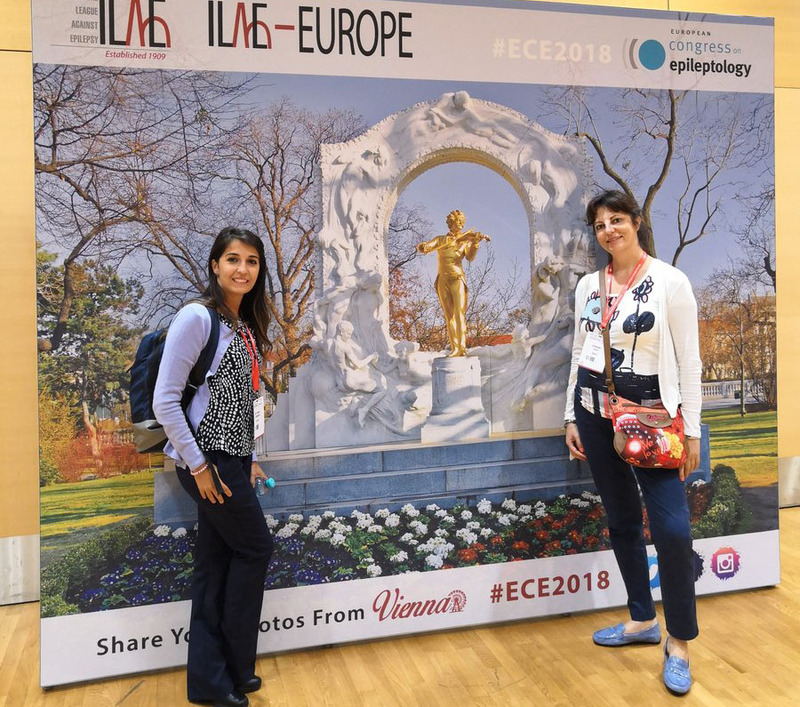 The newly-launched ILAE Young Epilepsy Section (ILAE-YES) was extremely active during the ECE, holding several events for the younger generation interested in the field of epilepsy. 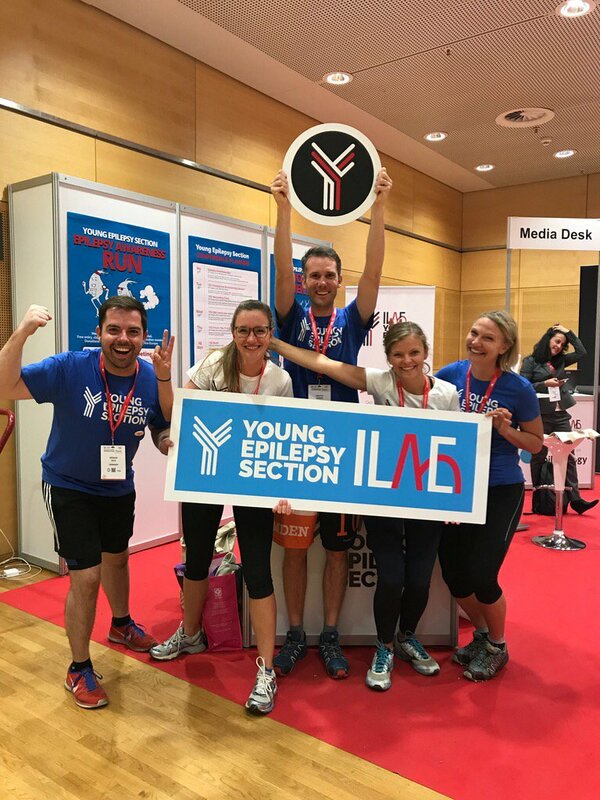 The Fun Run through the Prater attracted many more participants than expected and the Networking Event was an unqualified success. 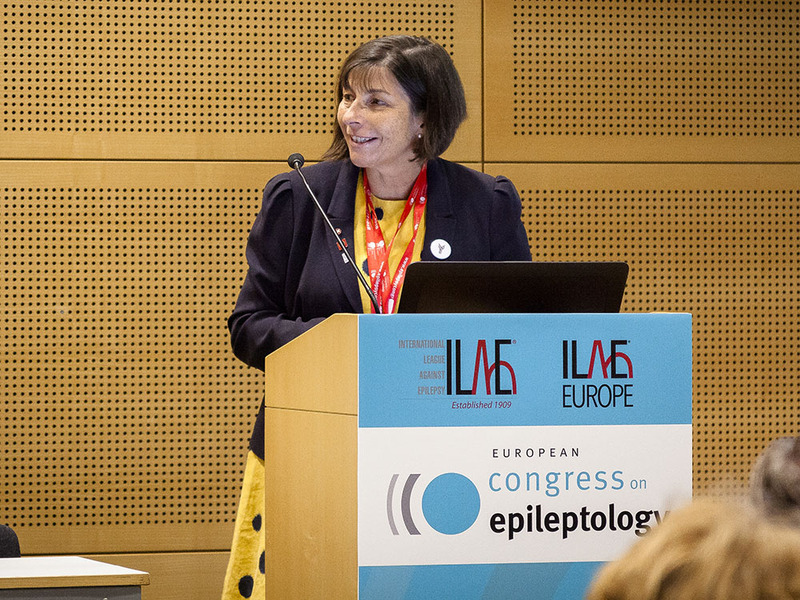 The ILAE-YES sessions and meetings were also well-attended, indicating a great enthusiasm for involvement in epilepsy and the ILAE. 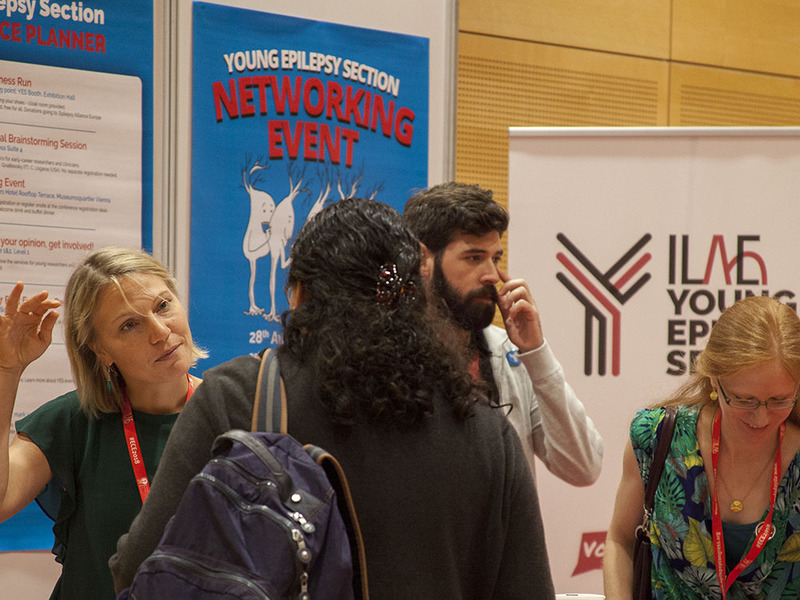 YES (Young Epilepsy Section) booth. 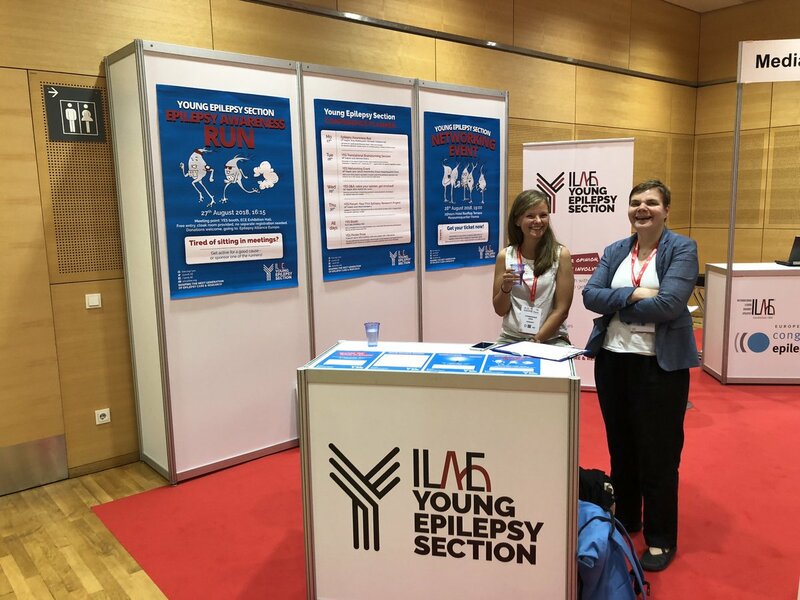 YES members are ready to run! 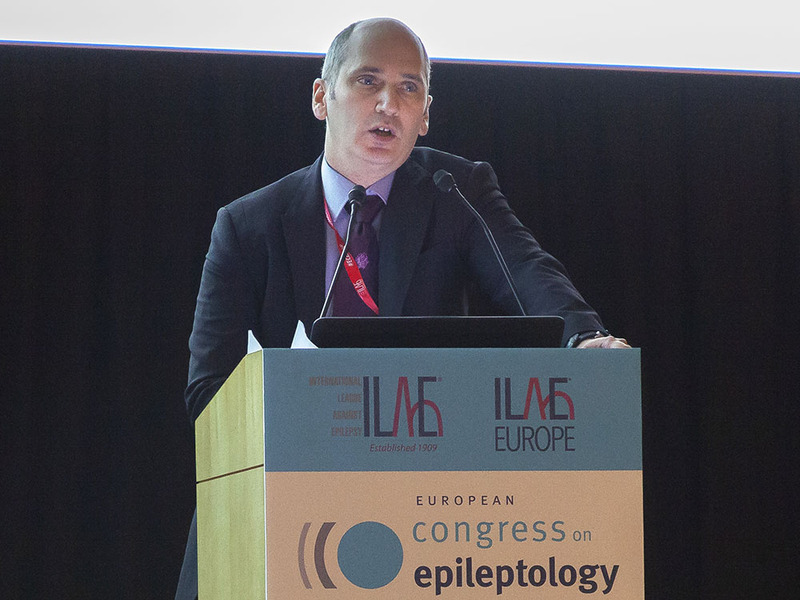 Several other initiatives also promoted the fostering of future leaders in the ILAE and epileptology. 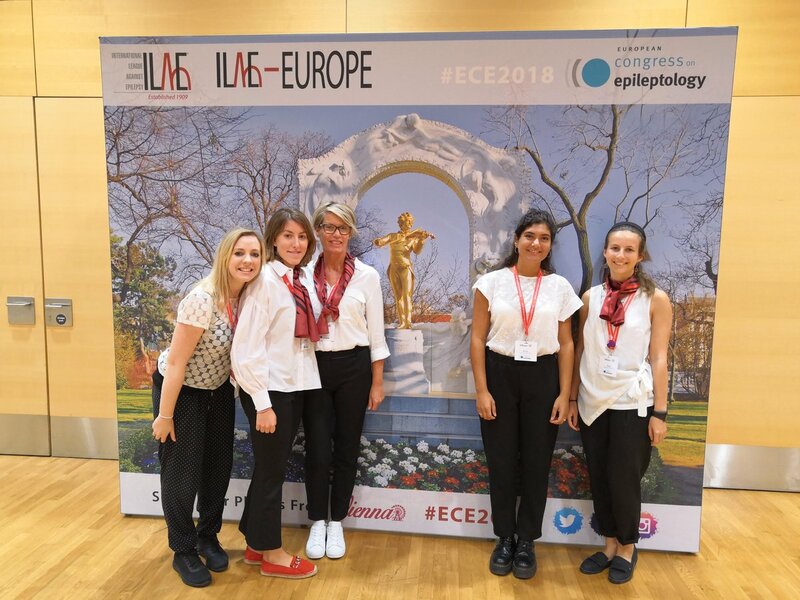 The successful ILAE Mentor-Mentee programme for trainees, which was first initiated at the IEC in 2017, was continued at the congress. 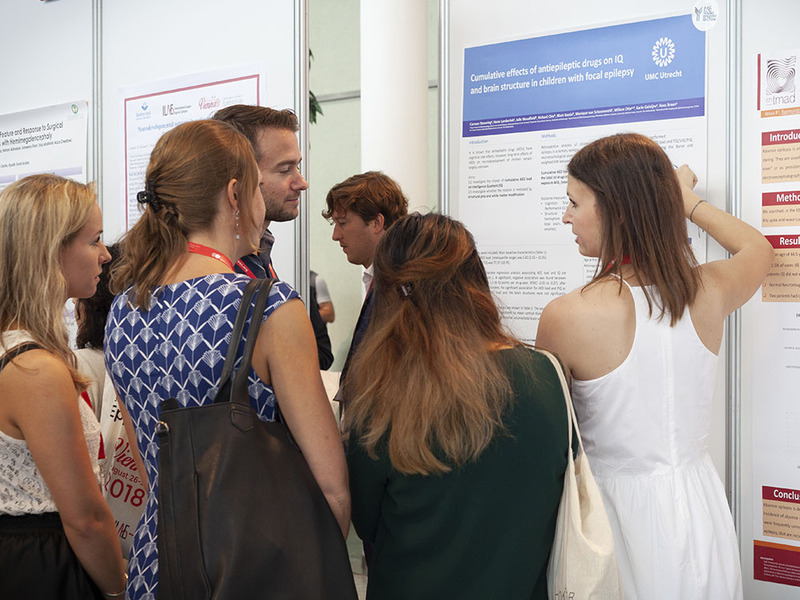 The 20 participating trainees were paired with a mentor, with whom they met several times during the congress. 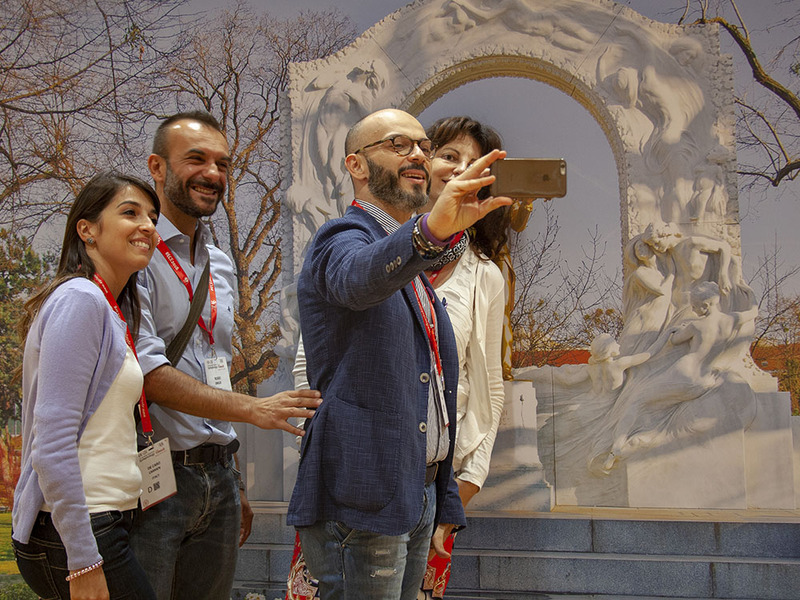 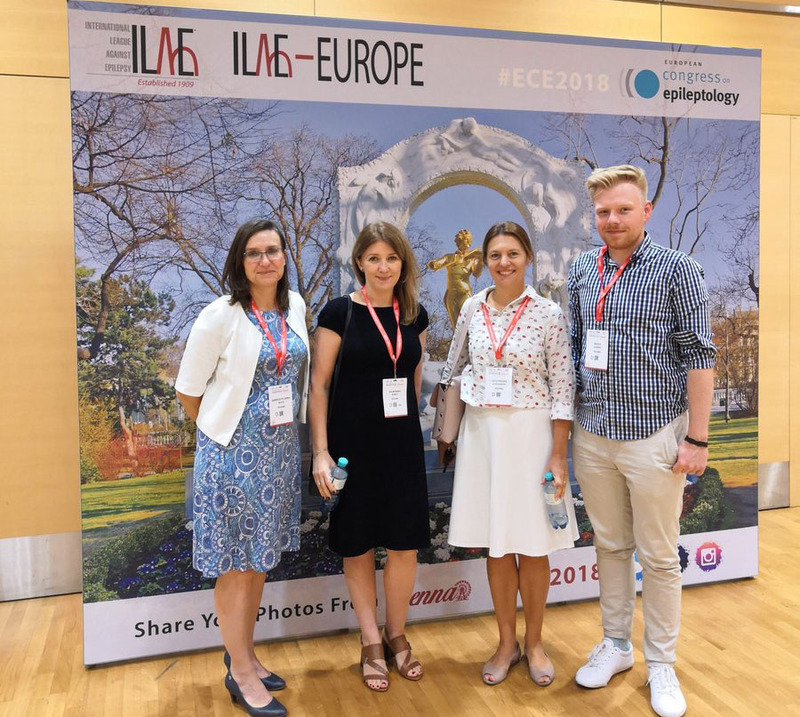 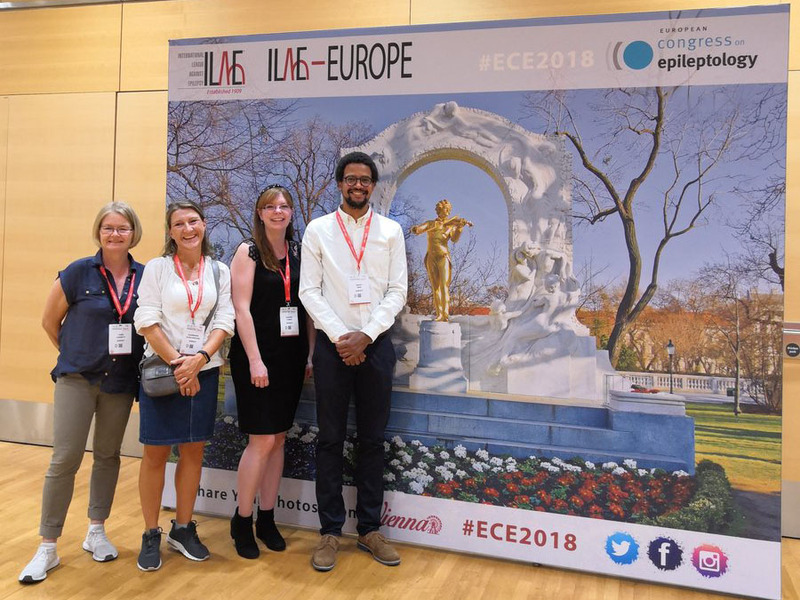 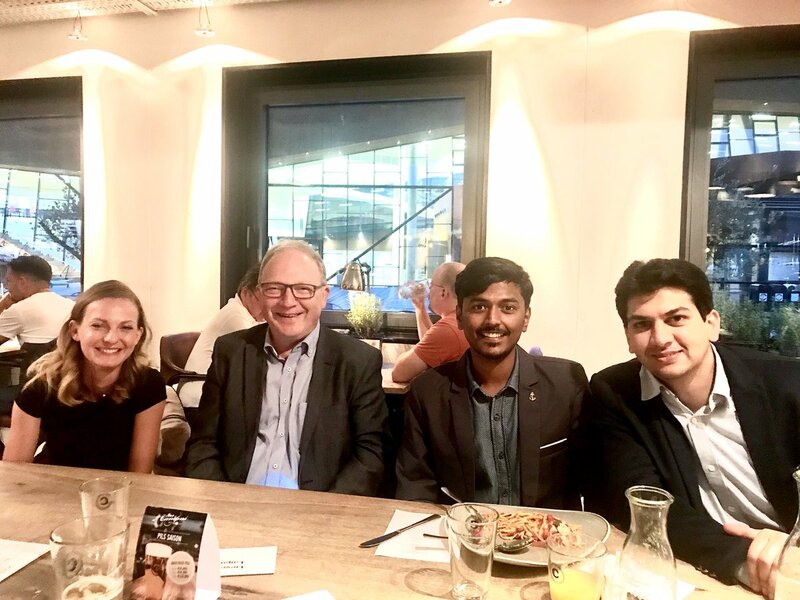 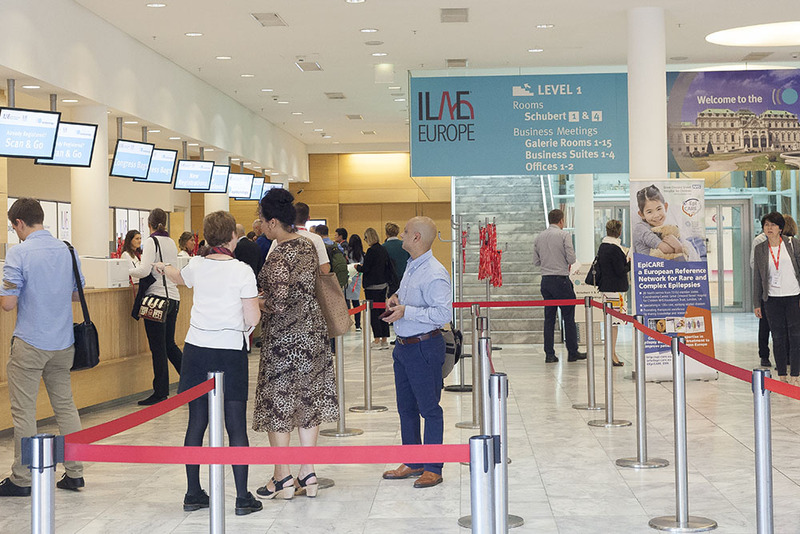 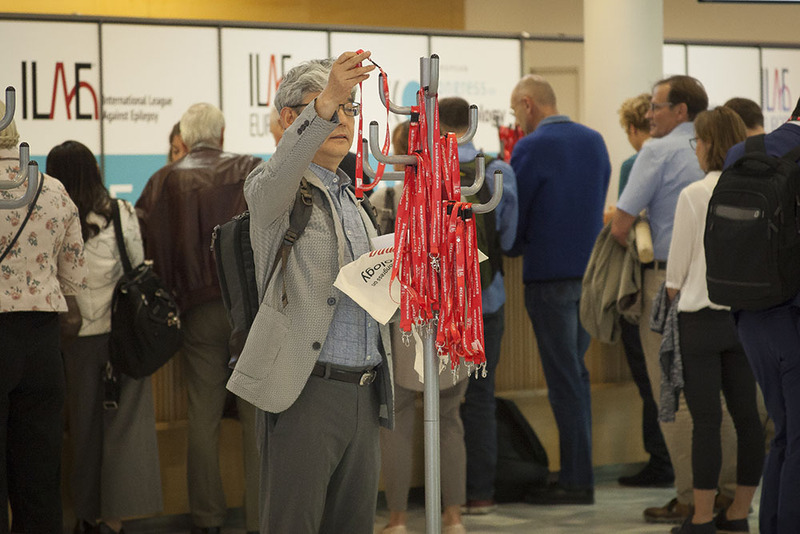 The ILAE Leadership Development Programme has been run twice at the international congress and for the first time was held at the ECE, with sessions tailored to meet with the needs of future European leaders. 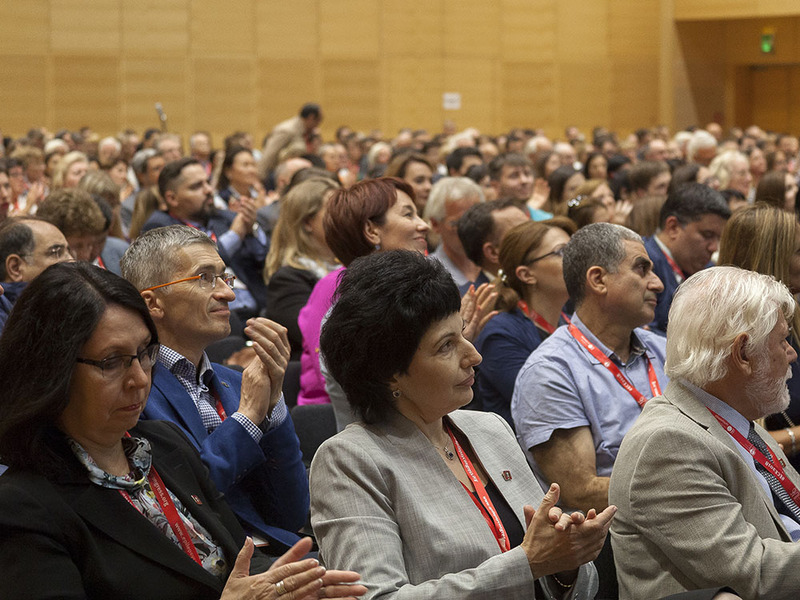 It is a unique opportunity to receive leadership training and network with leaders from around the globe. 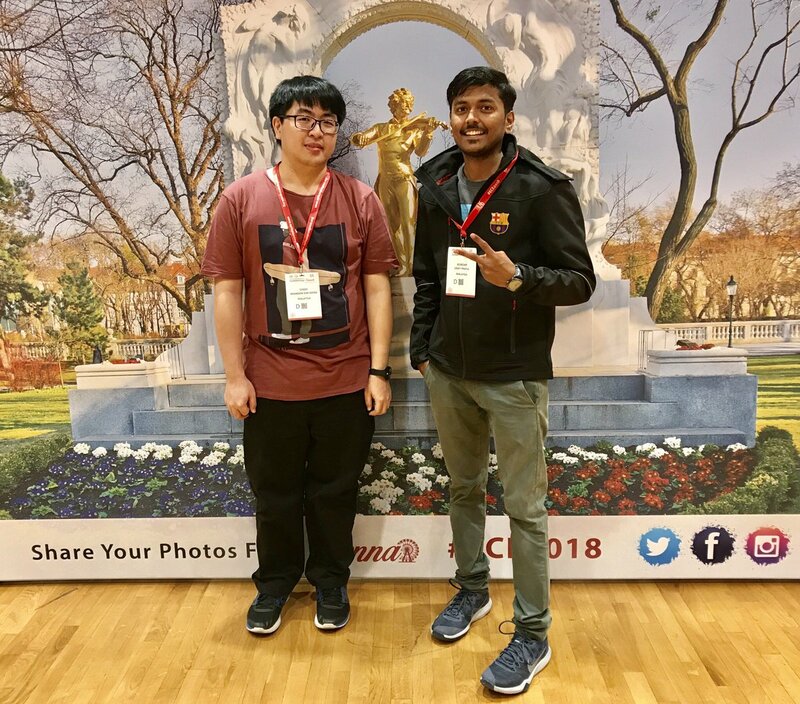 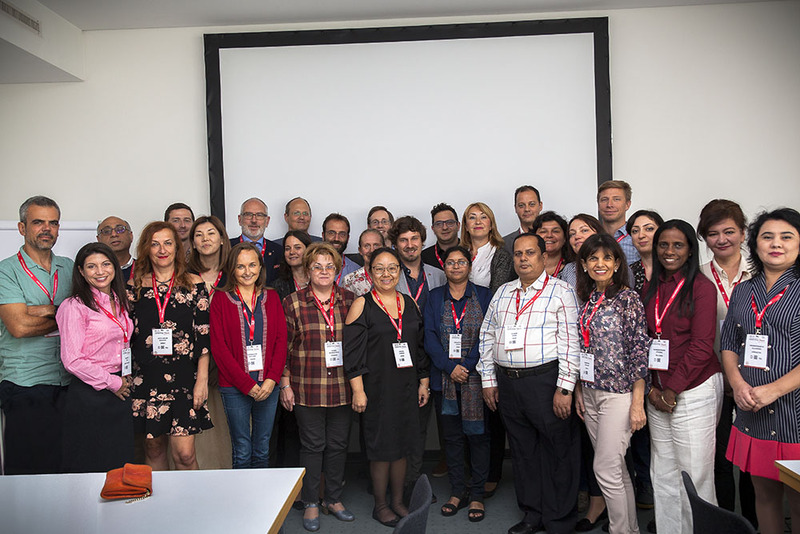 Twenty seven future leaders from Europe, Asia and South America were selected for the two-day programme at the ECE that included lectures and interactive workshops. 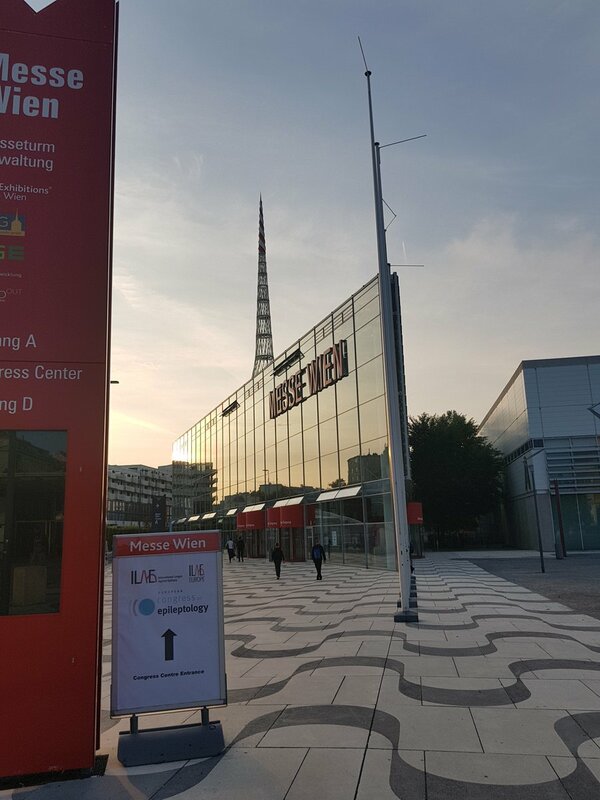 Finally, the city of Vienna (recently ranked as the number one liveable city in the world), in the heart of Europe, where so many of the most important ideas and paradigms for modern society were created at the beginning of the last century, provided the perfect meeting point for participants from east and west. 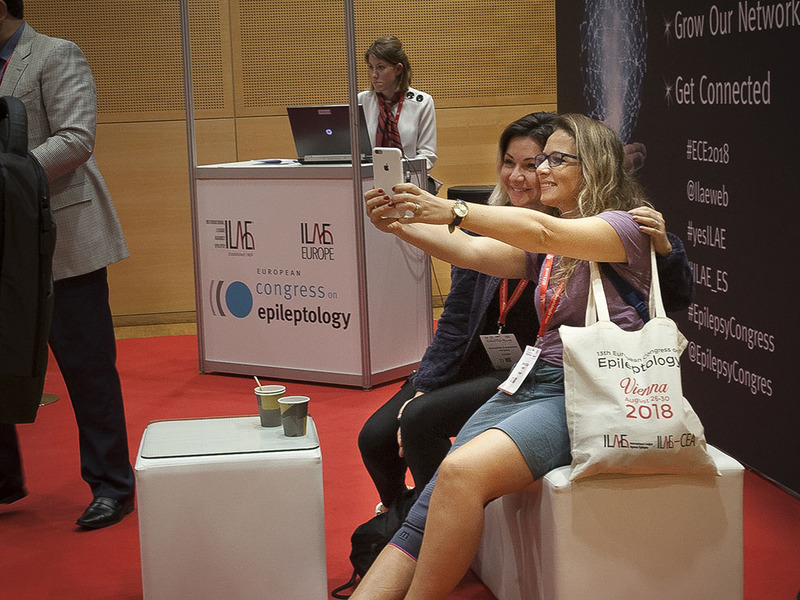 Participants capturing memories at the selfie wall.